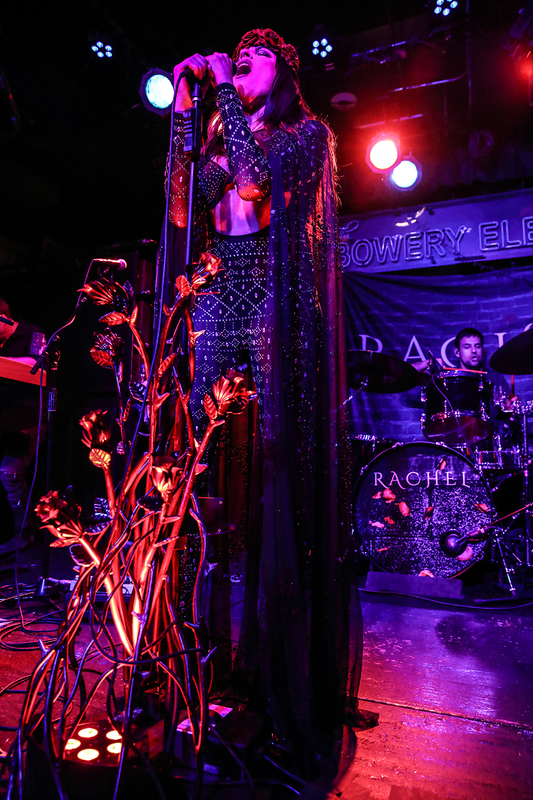 Sometimes you go into a gig blind, not knowing much about the band/artist, and you walk out after the set is finished mumbling to yourself “how have I not heard of them before?” That was the case this past Thursday evening at The Bowery Electric when I witnessed Rachel Lorin and band absolutely own the stage from start to finish. 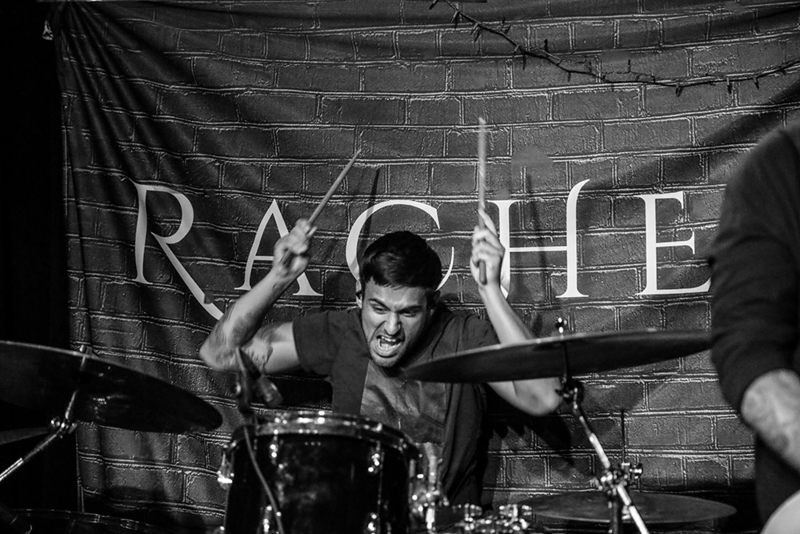 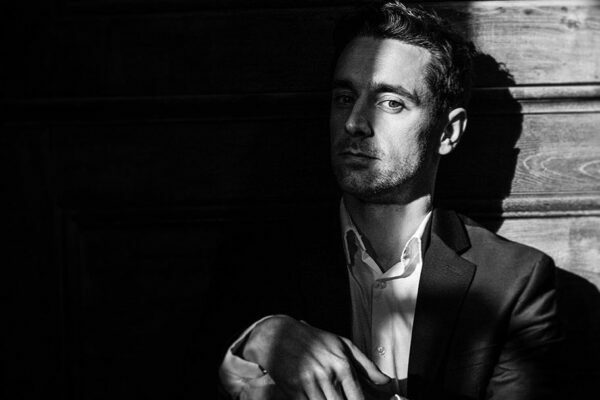 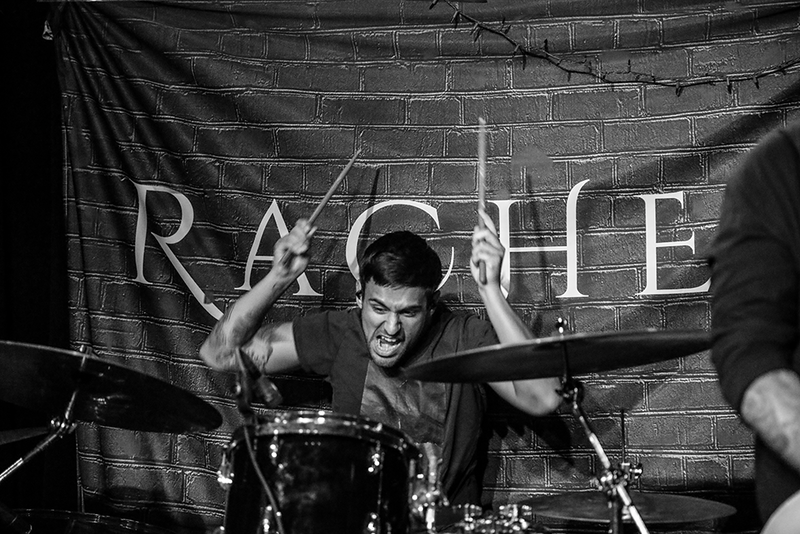 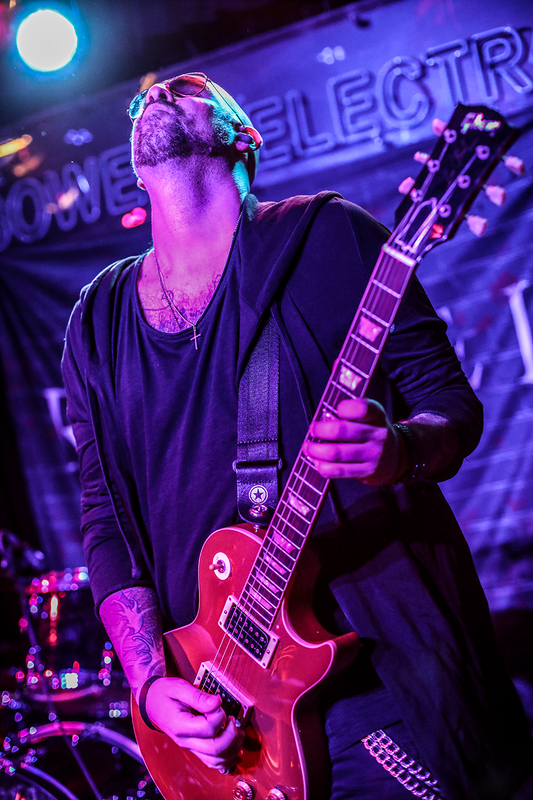 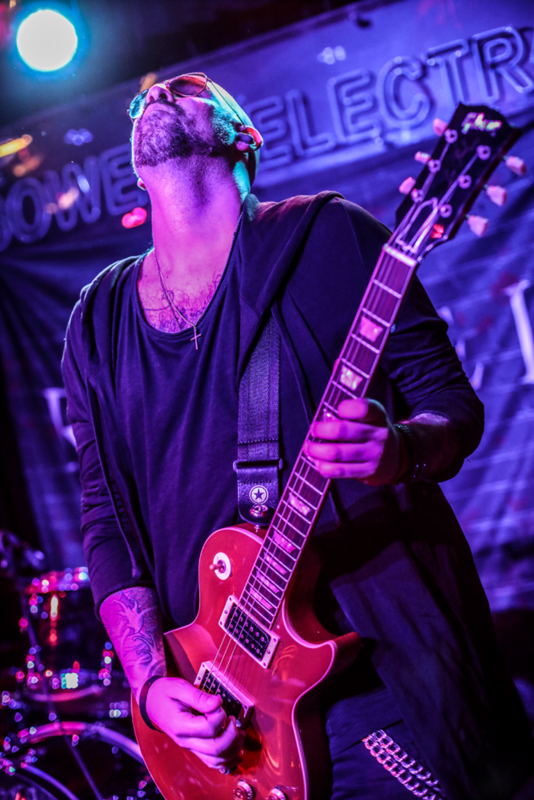 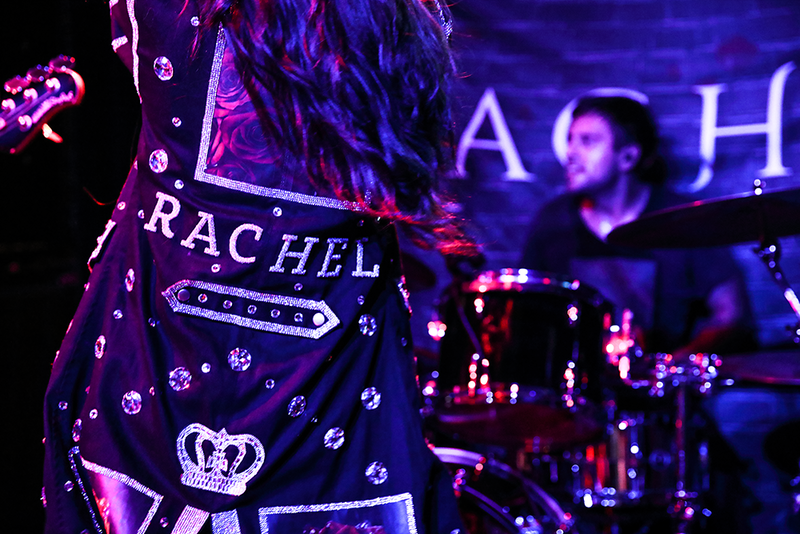 I should have known as soon as I walked in and saw numerous industry people, well established photographers, and fans wearing Rachel merch scattered about in the small room, that this was a big deal. 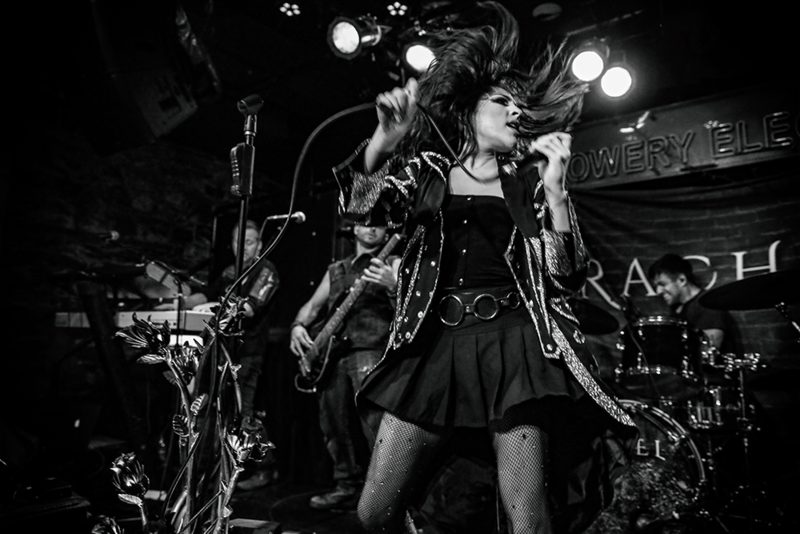 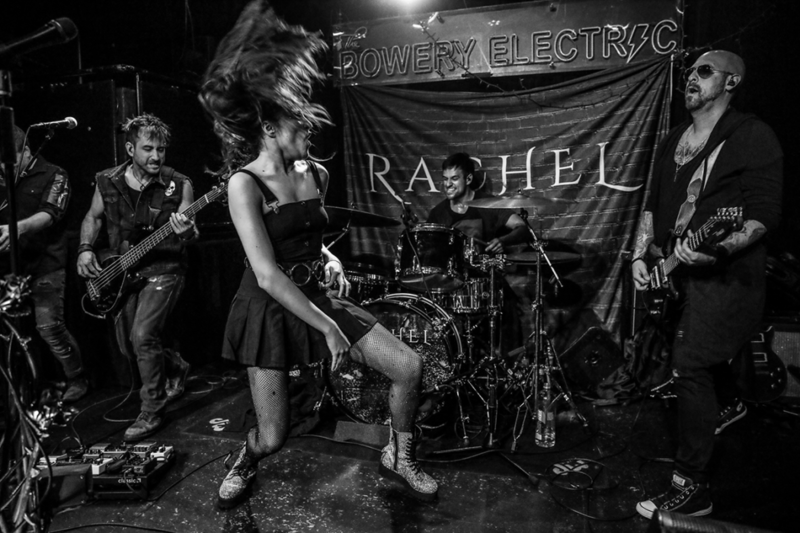 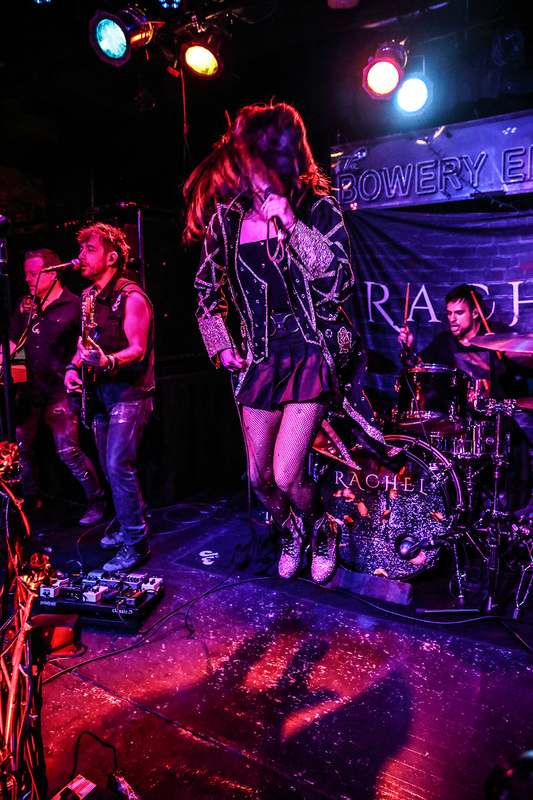 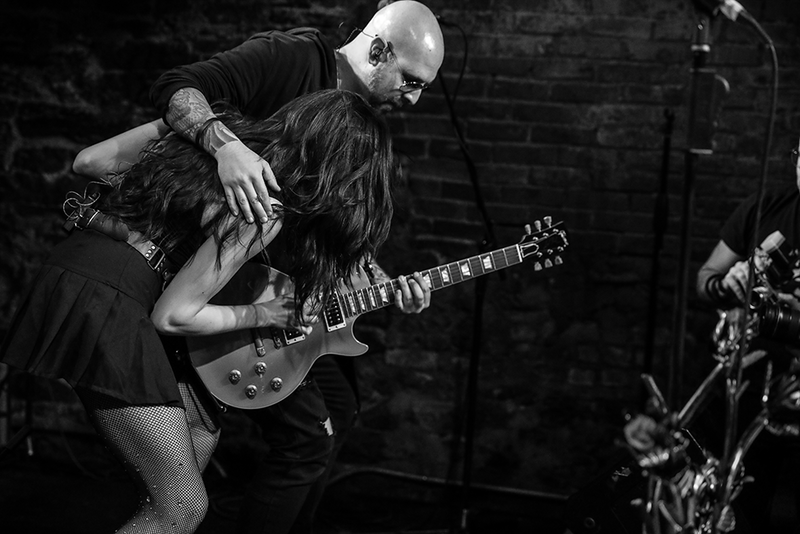 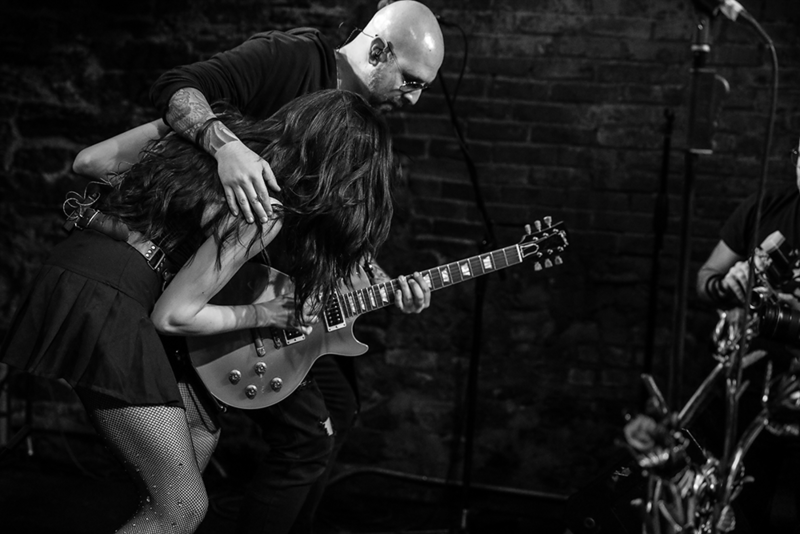 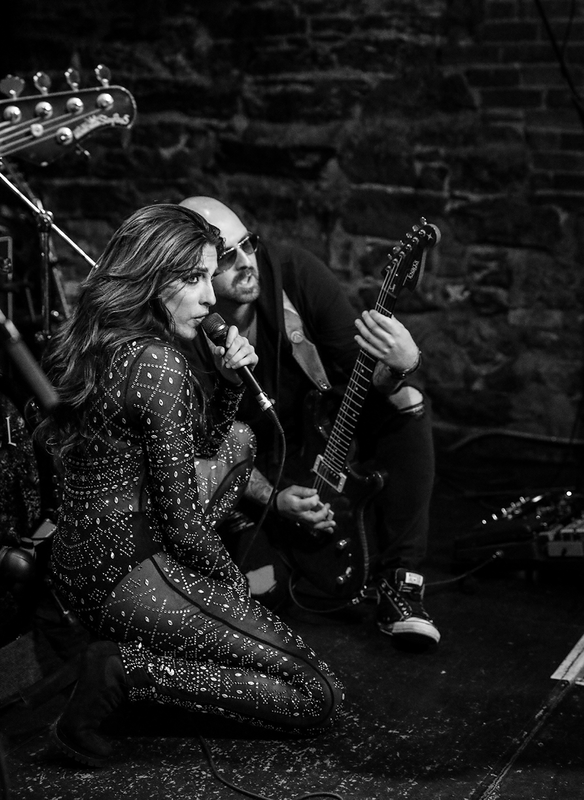 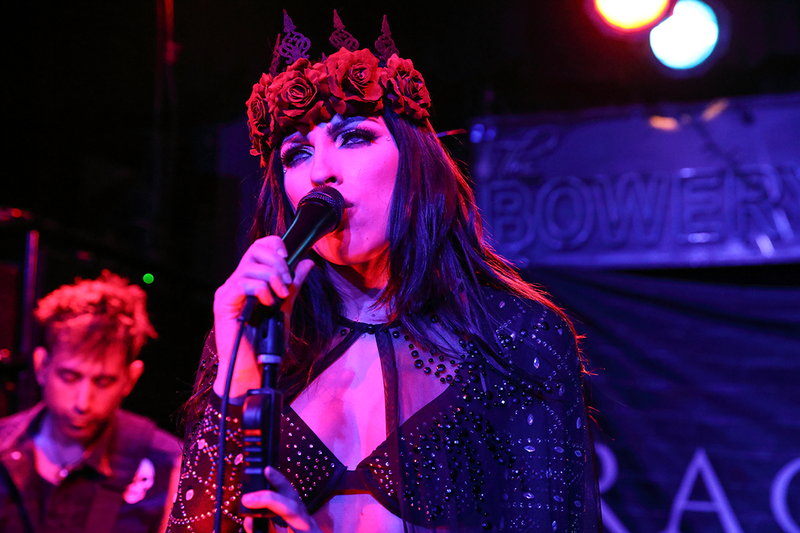 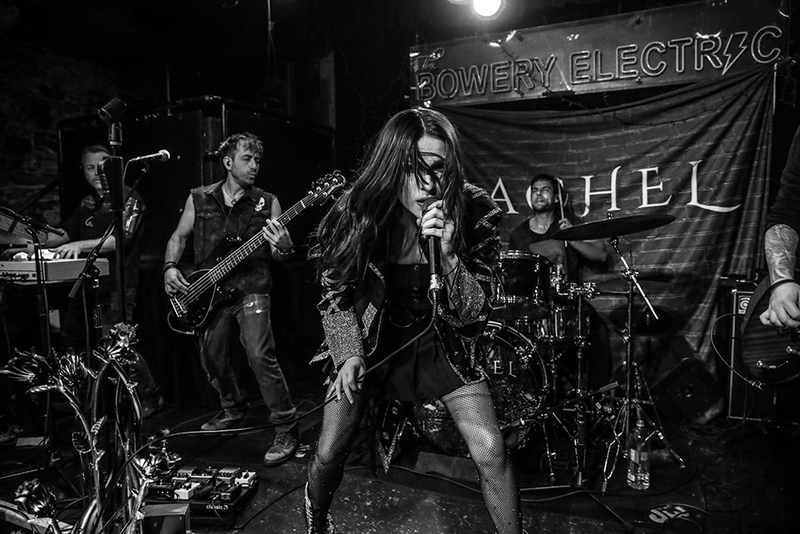 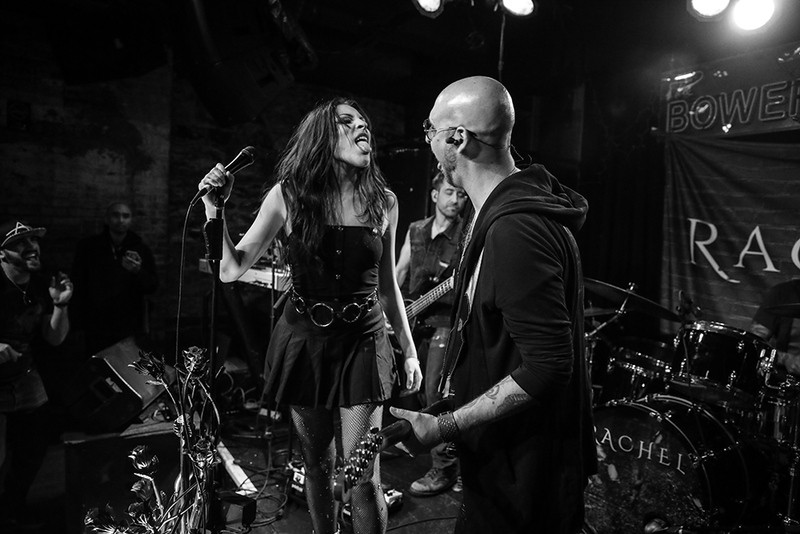 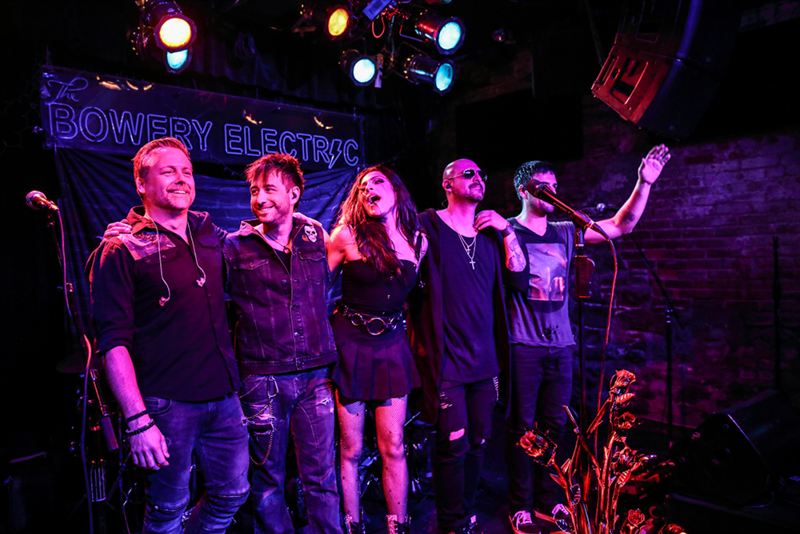 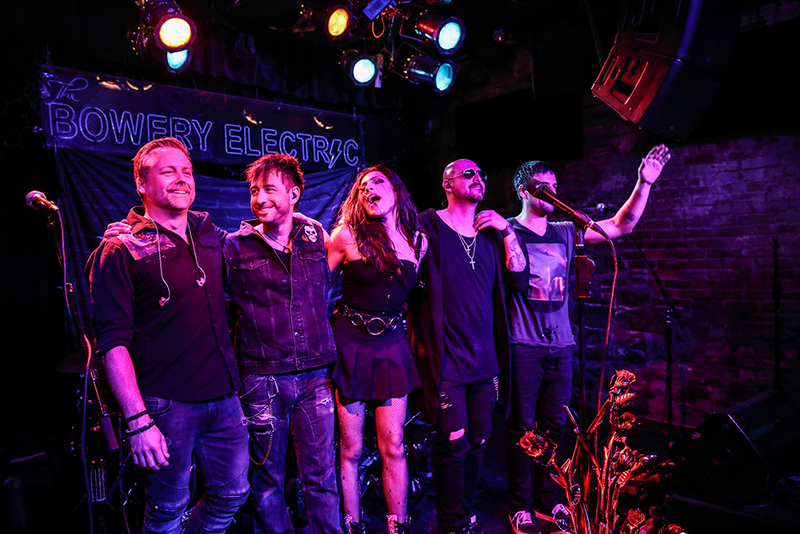 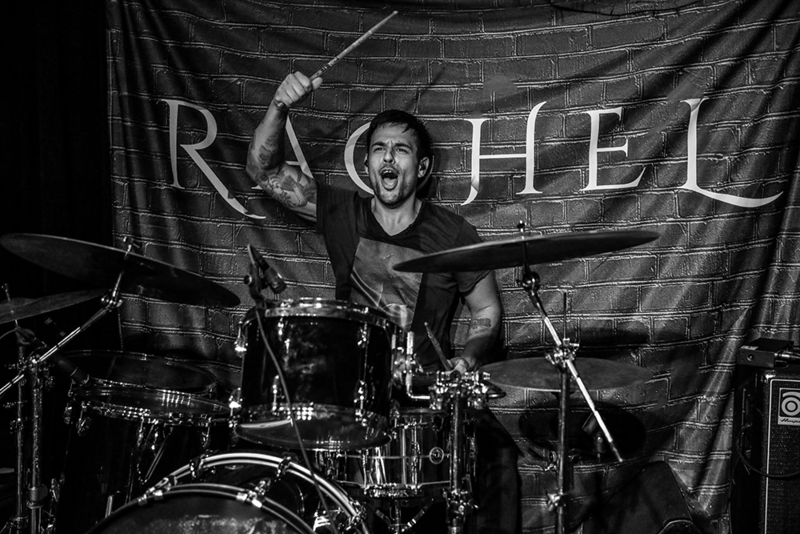 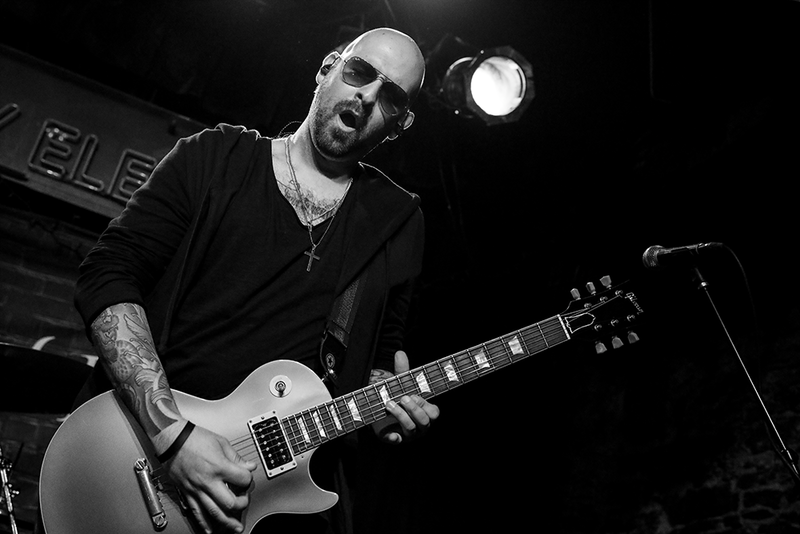 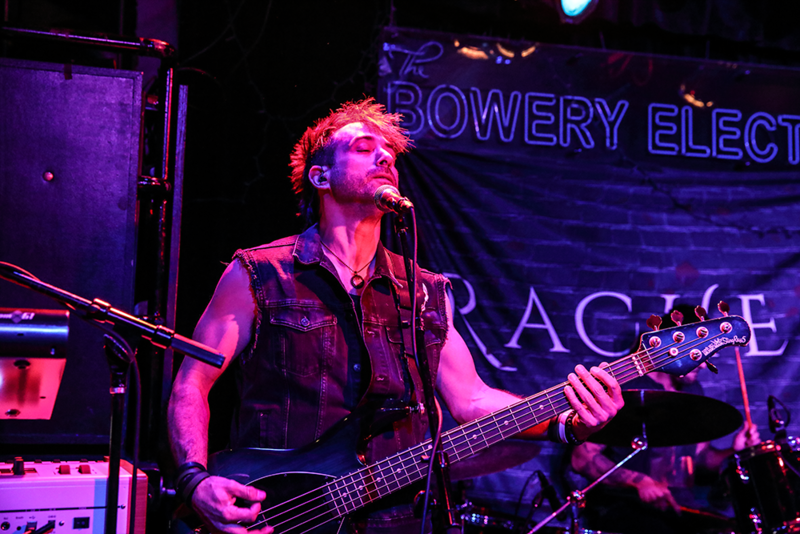 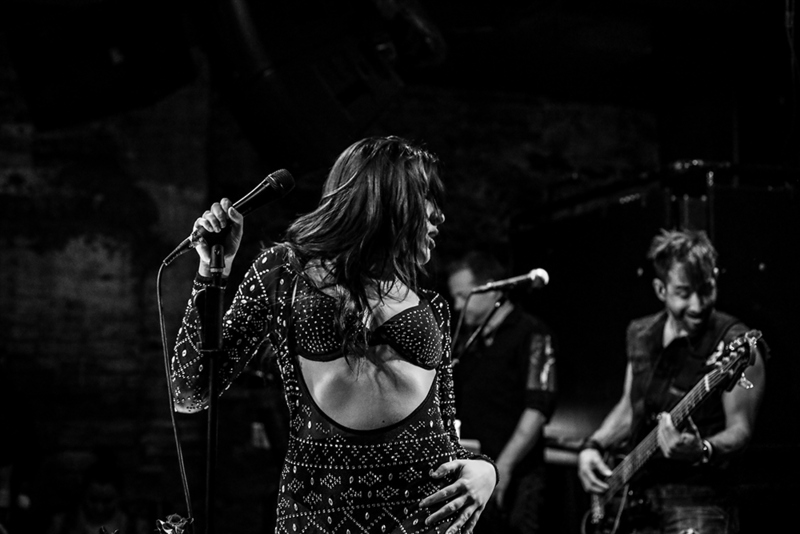 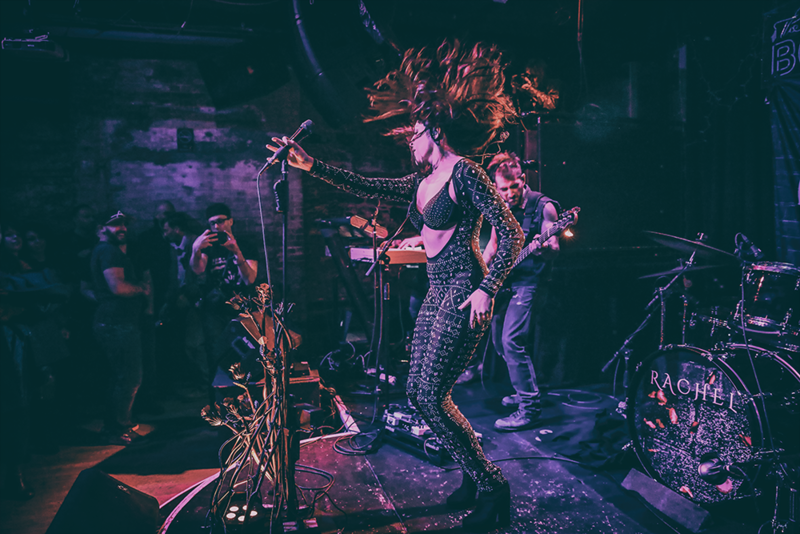 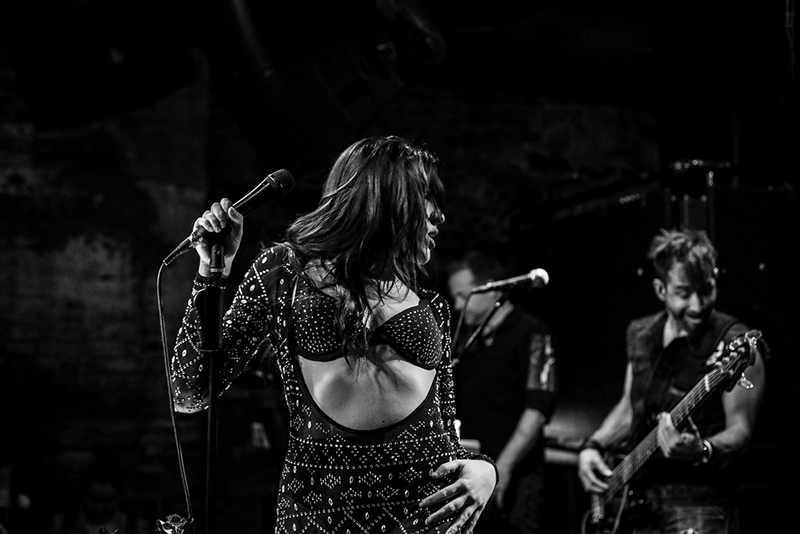 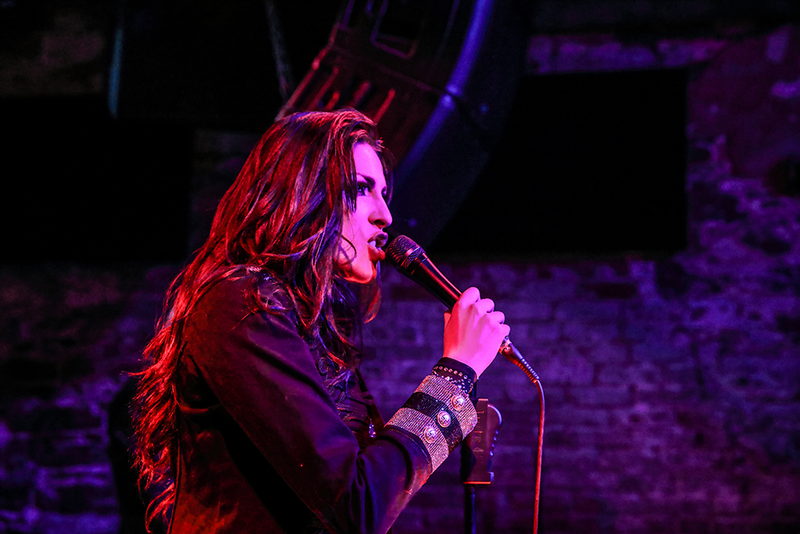 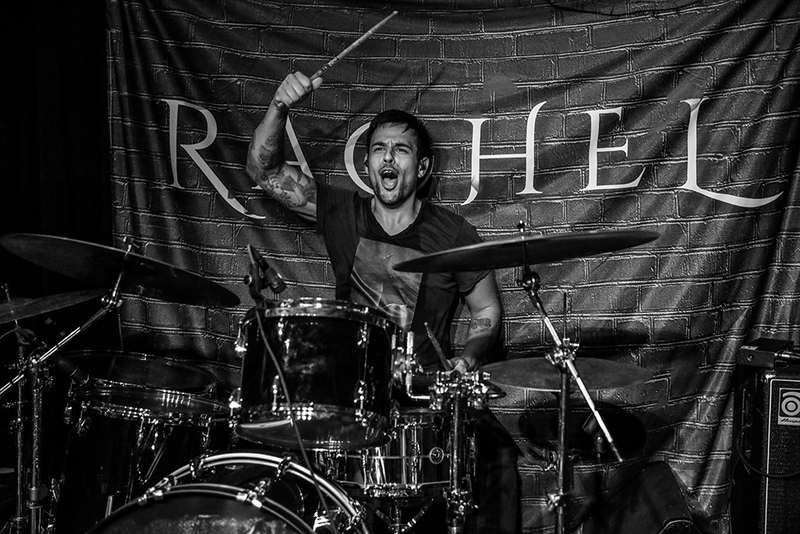 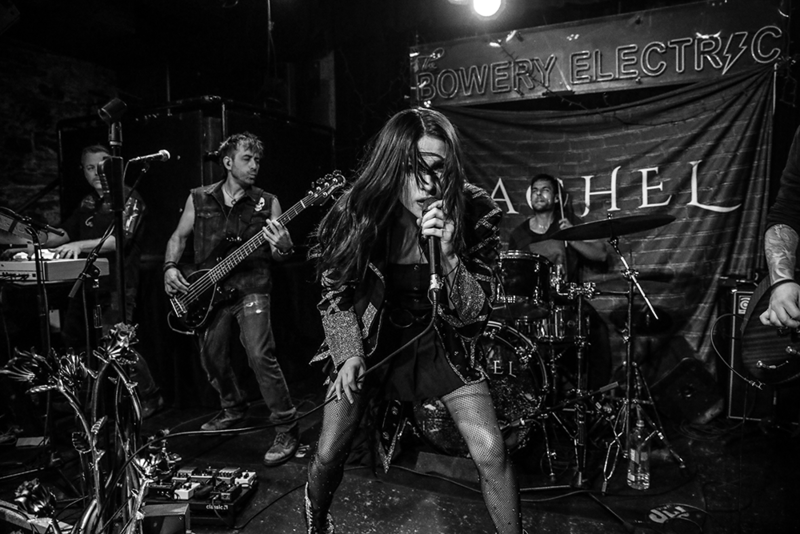 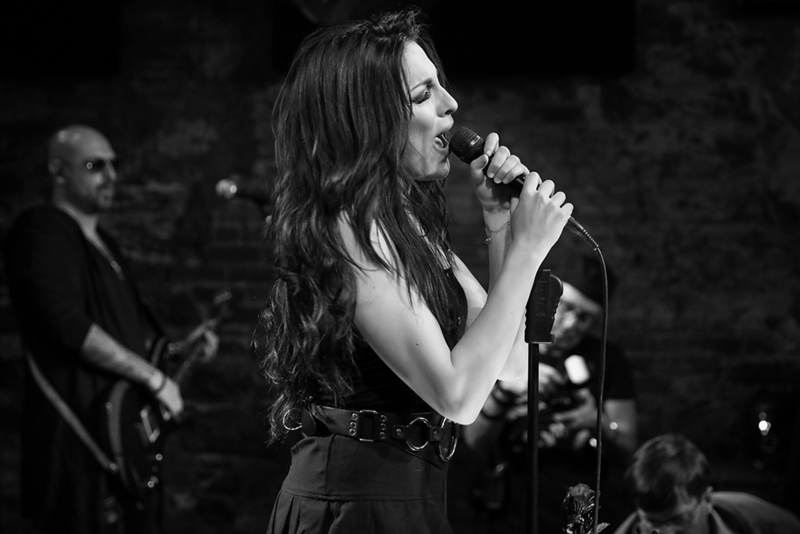 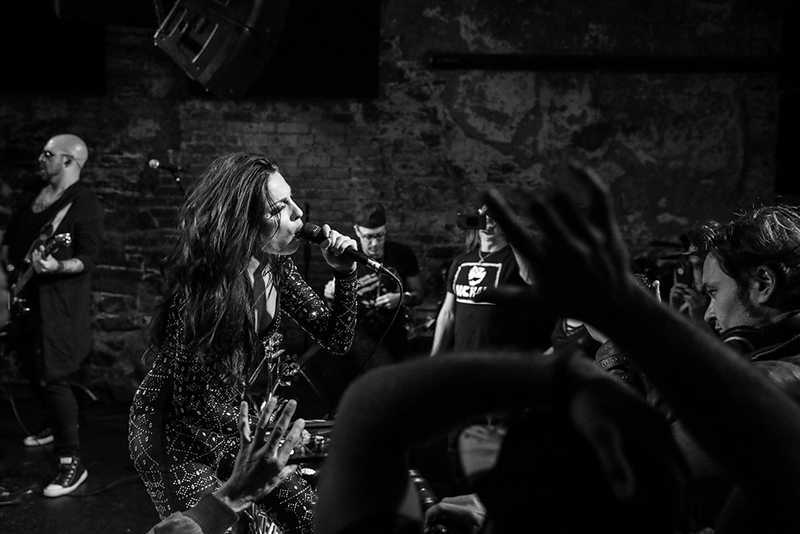 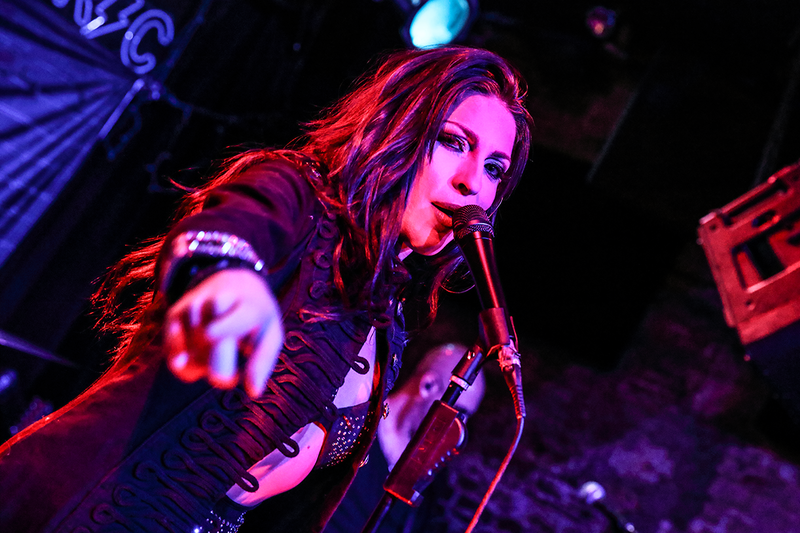 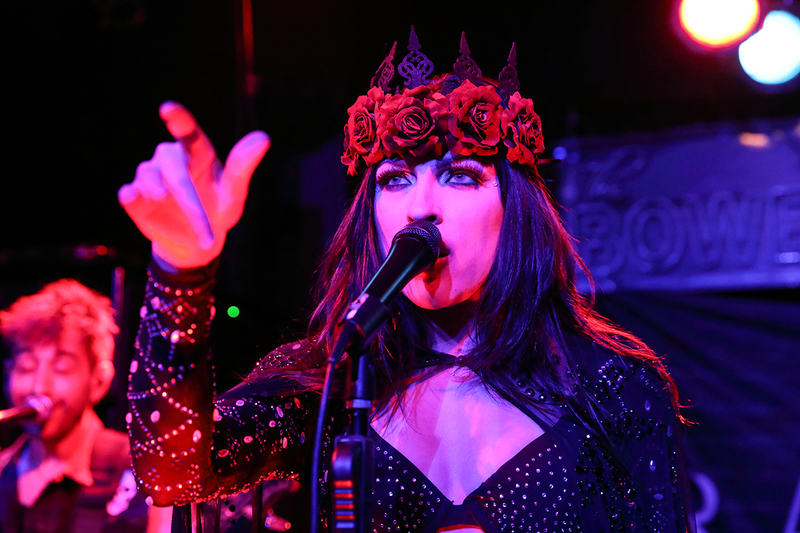 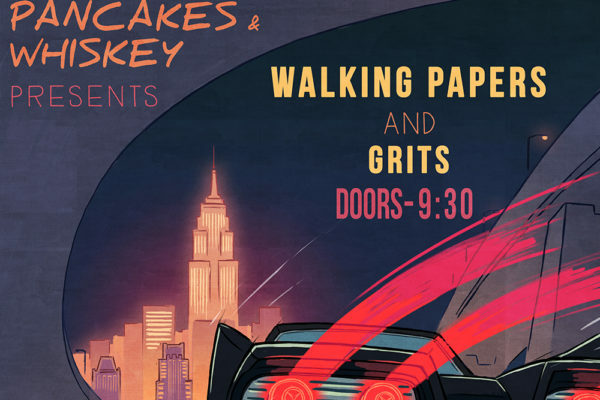 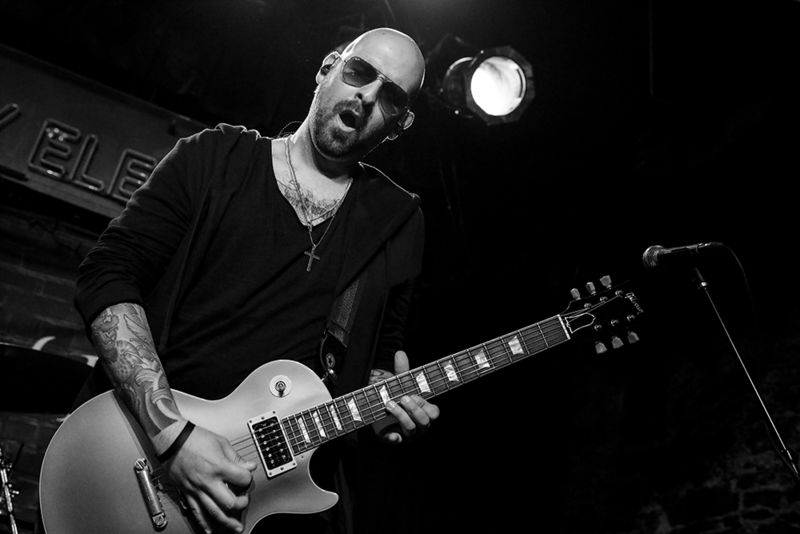 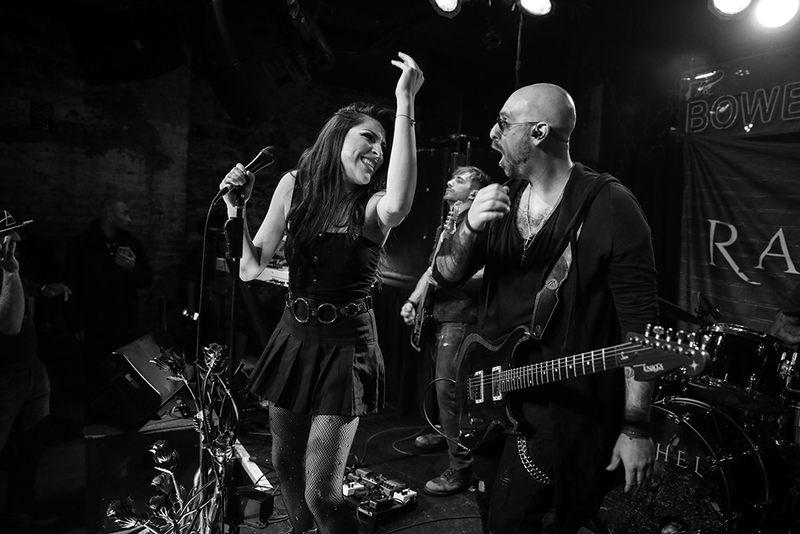 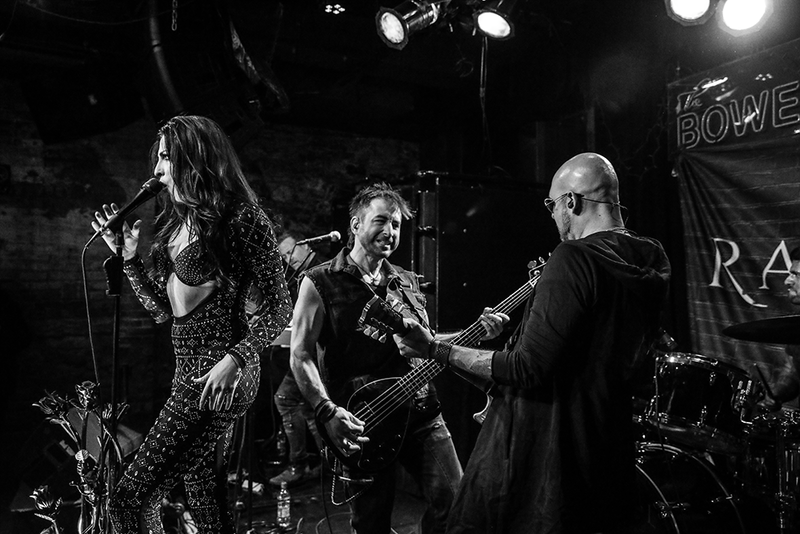 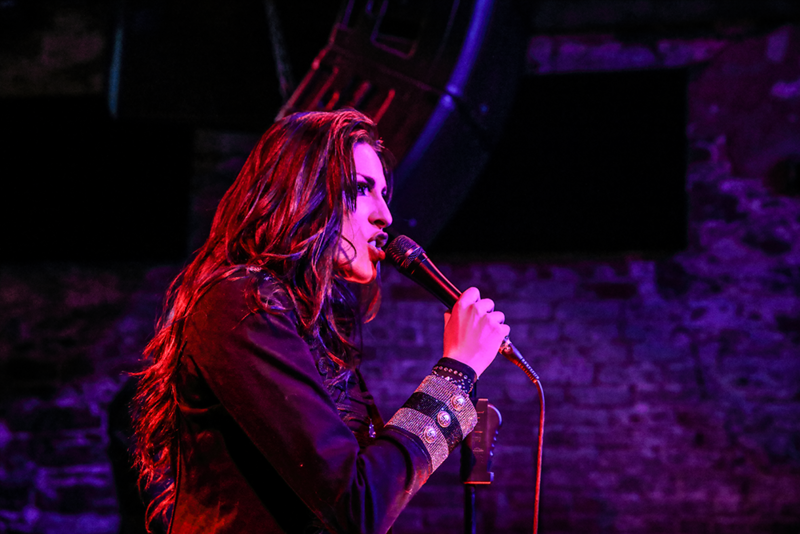 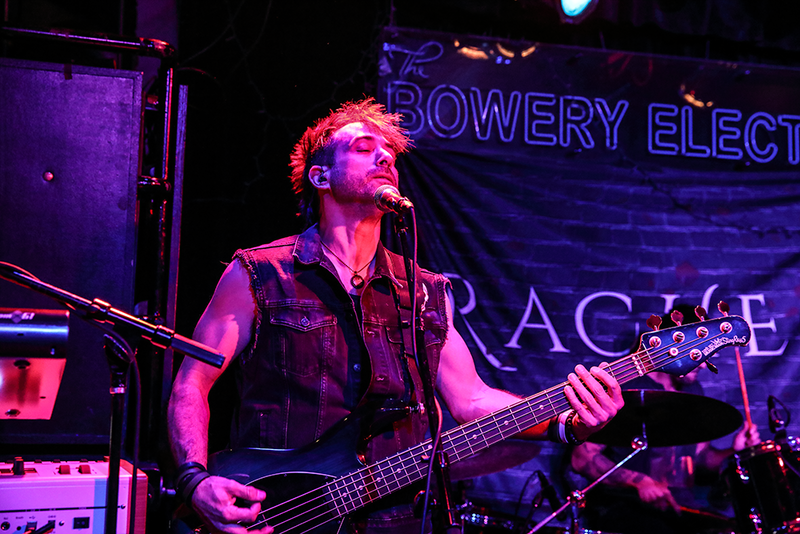 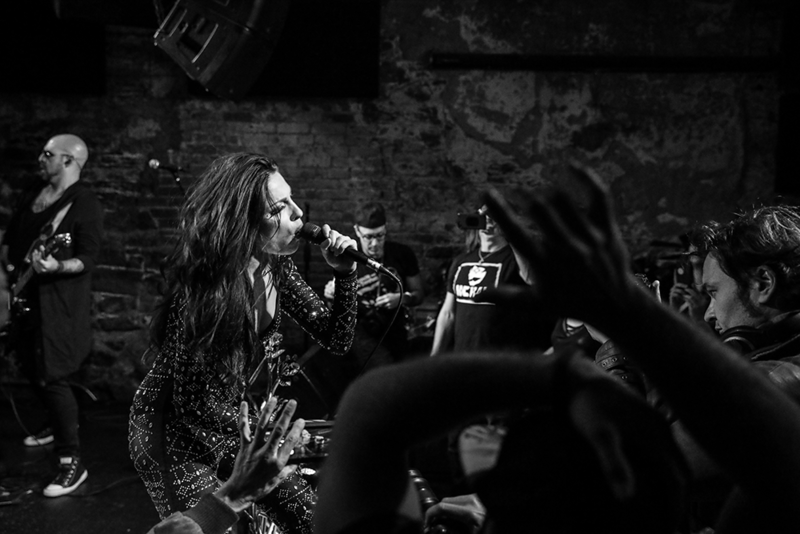 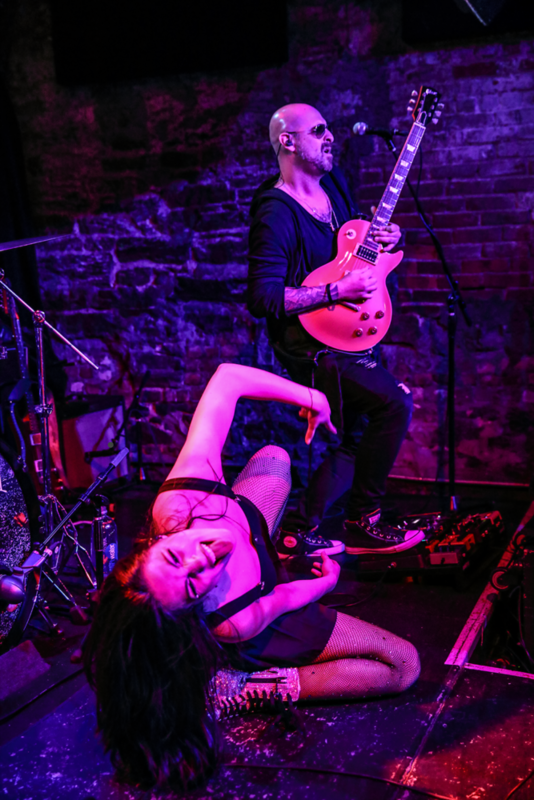 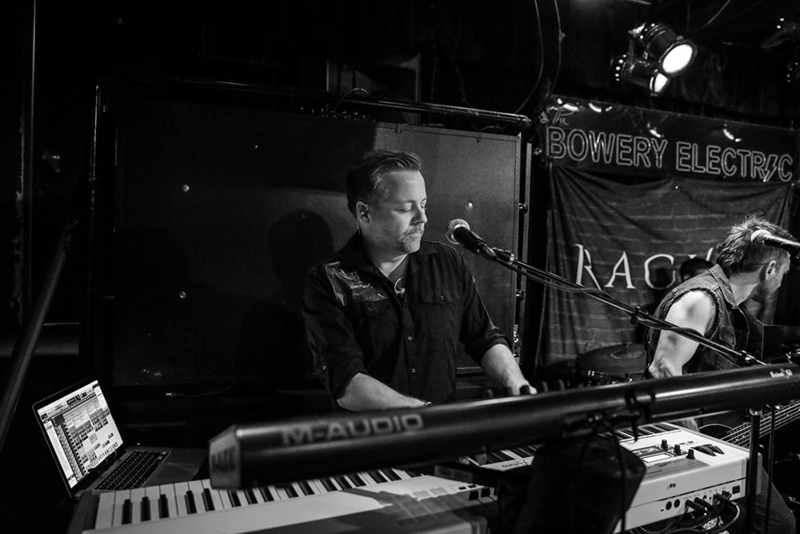 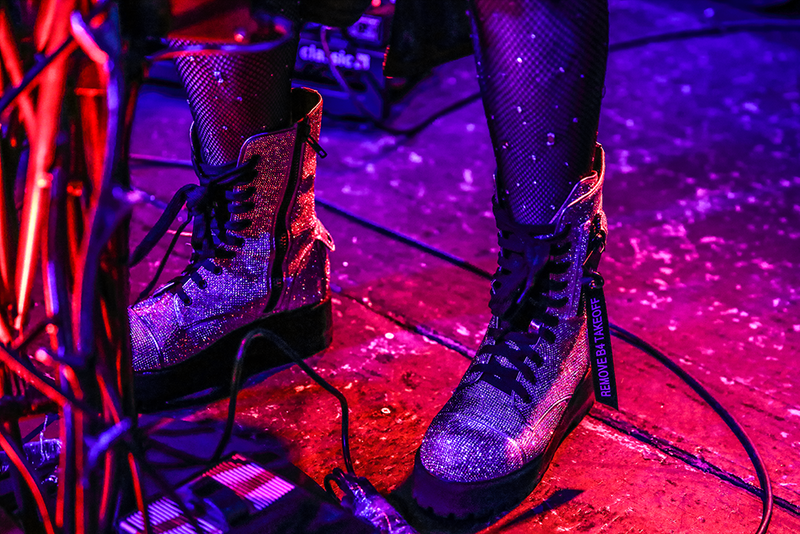 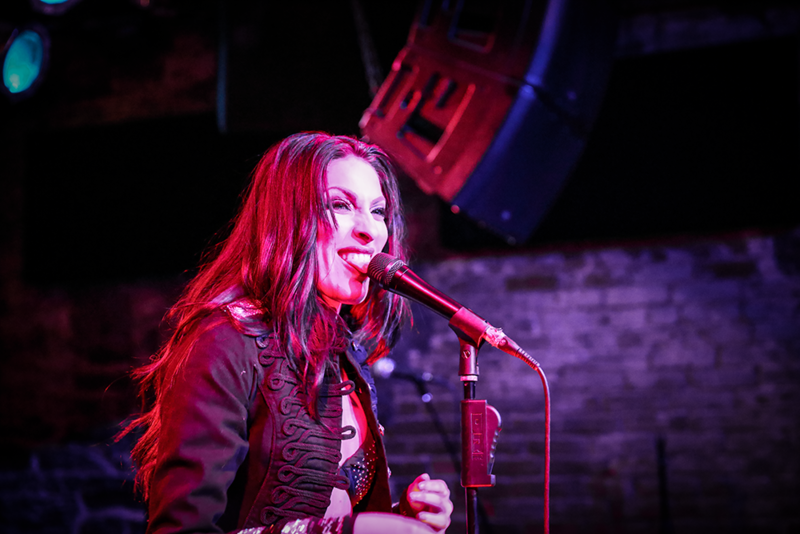 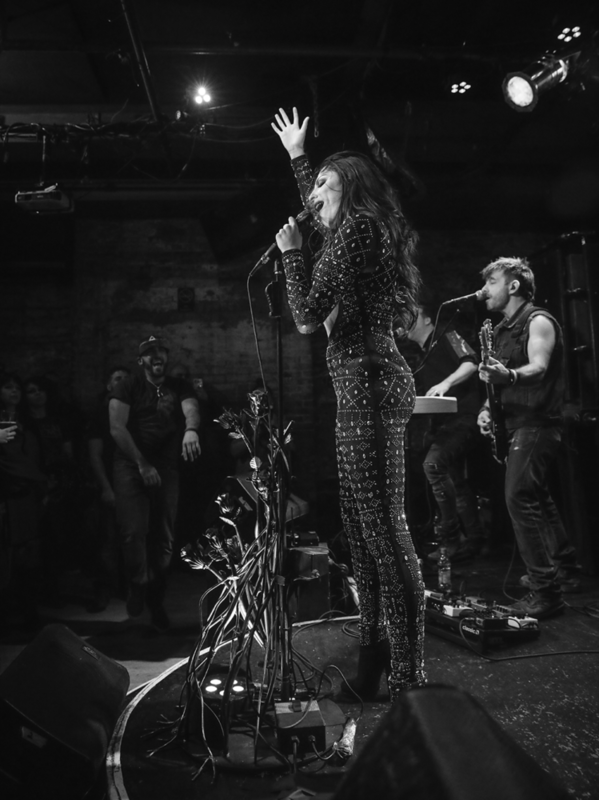 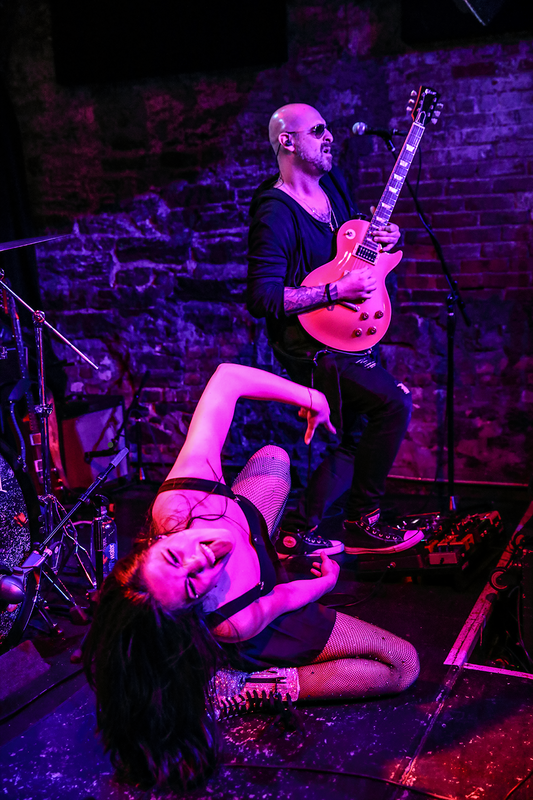 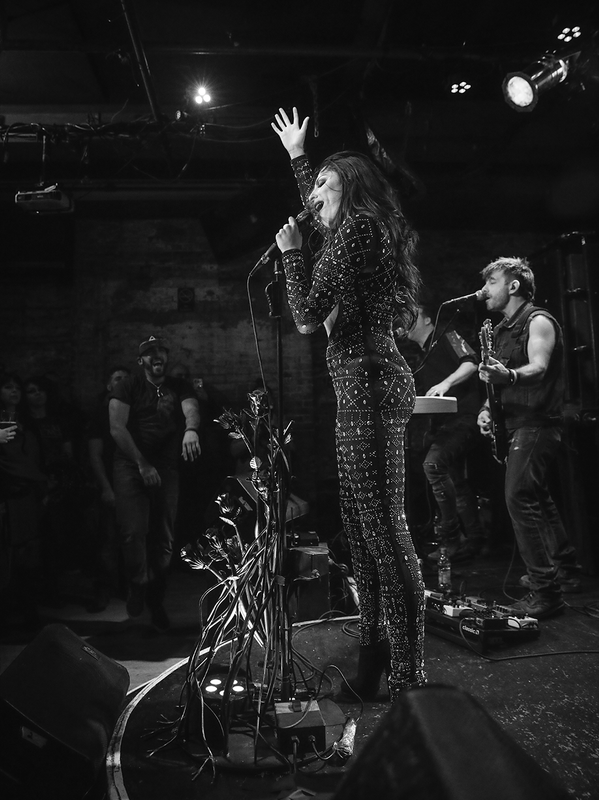 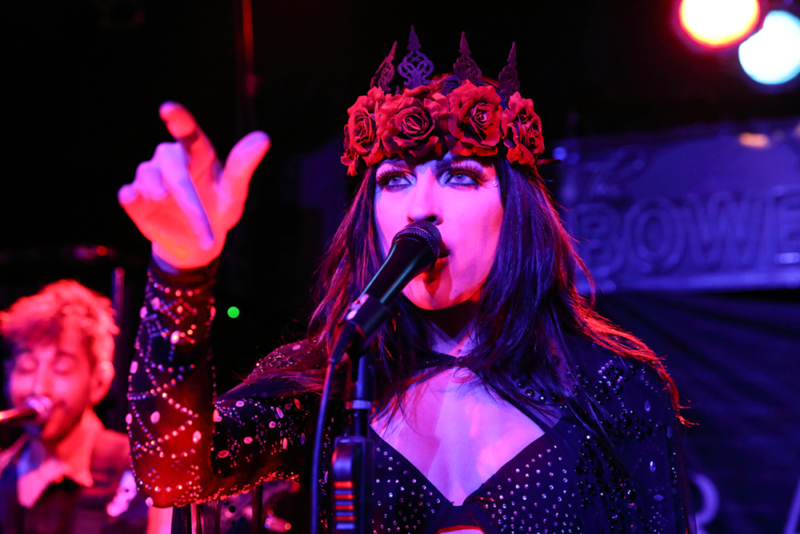 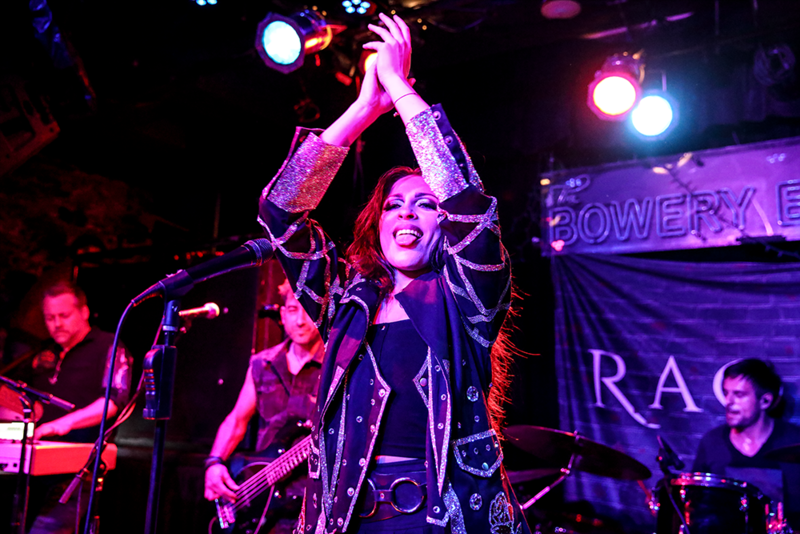 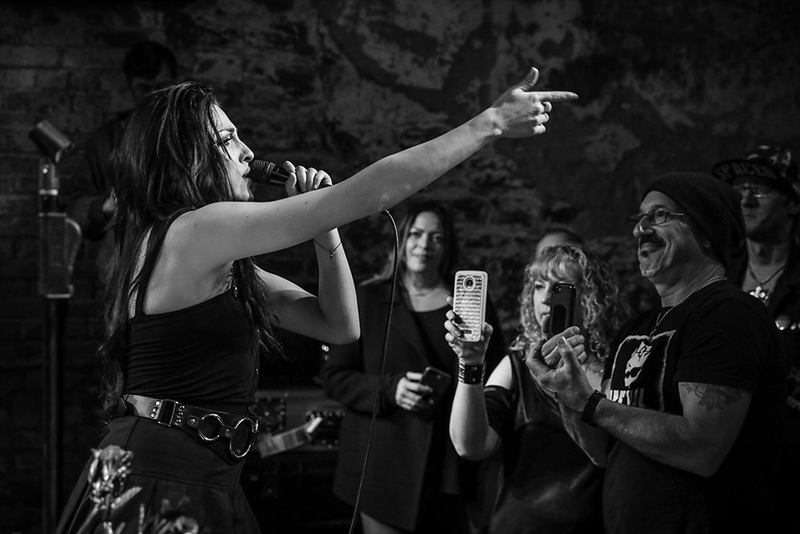 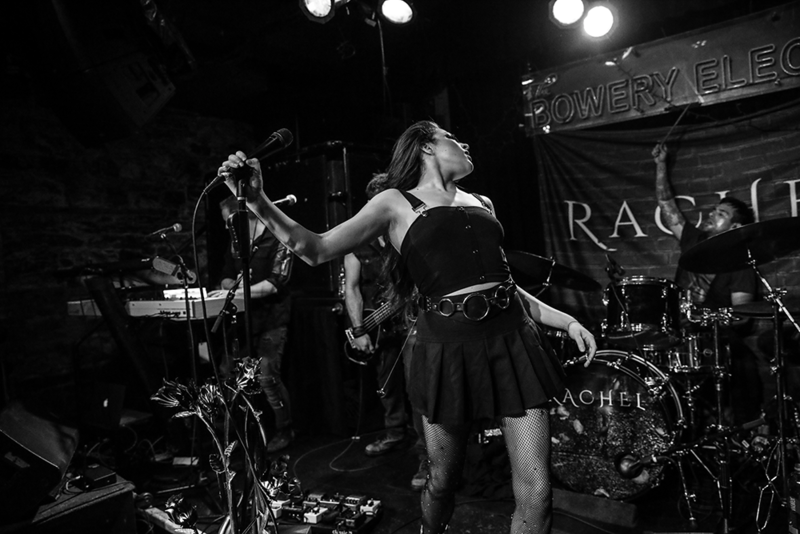 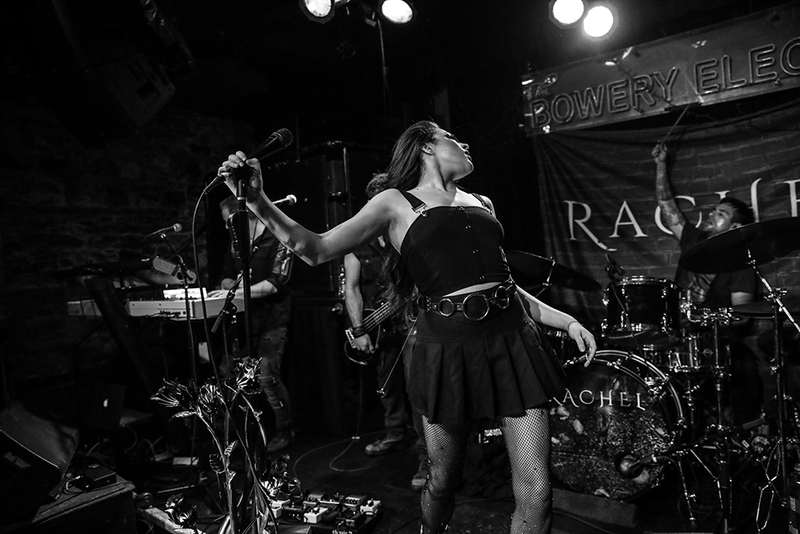 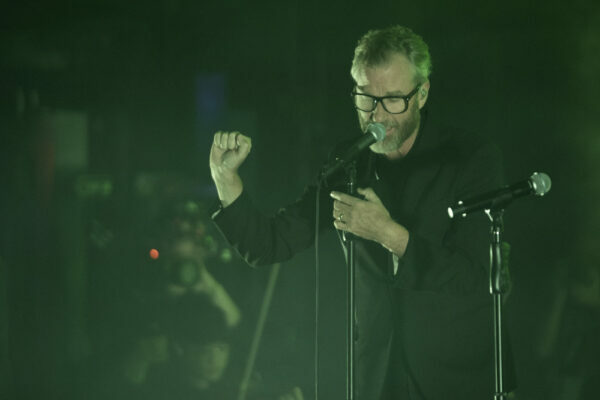 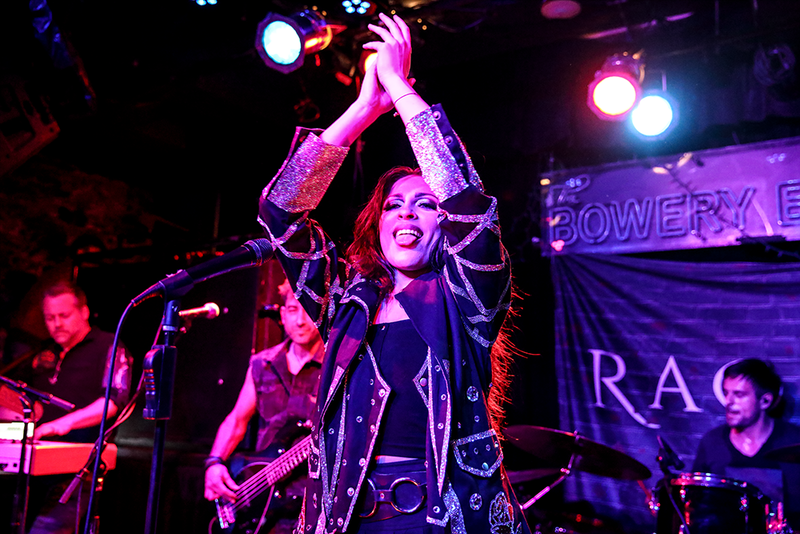 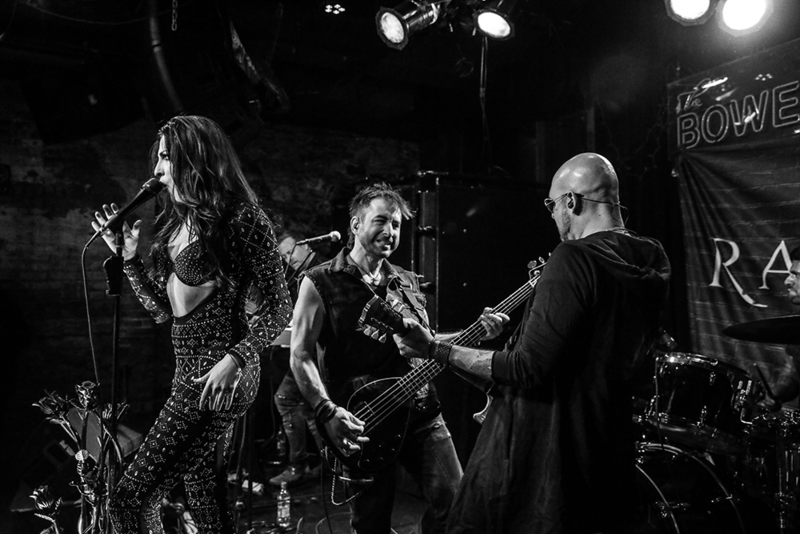 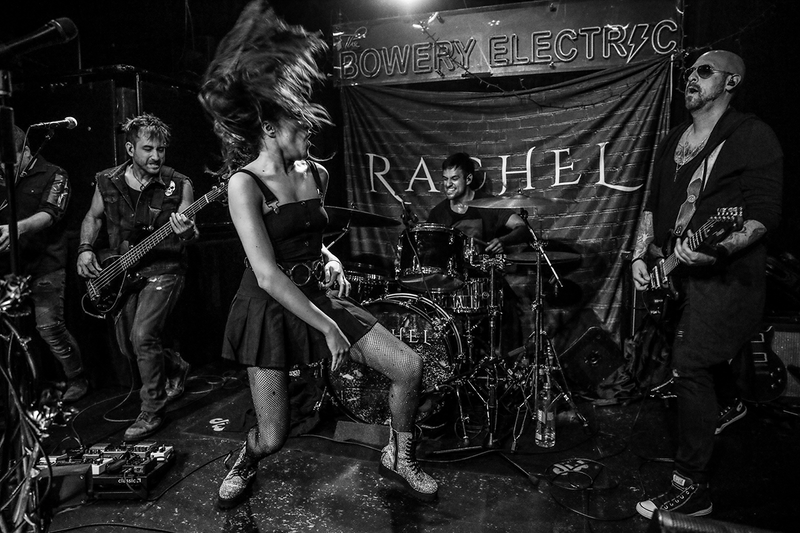 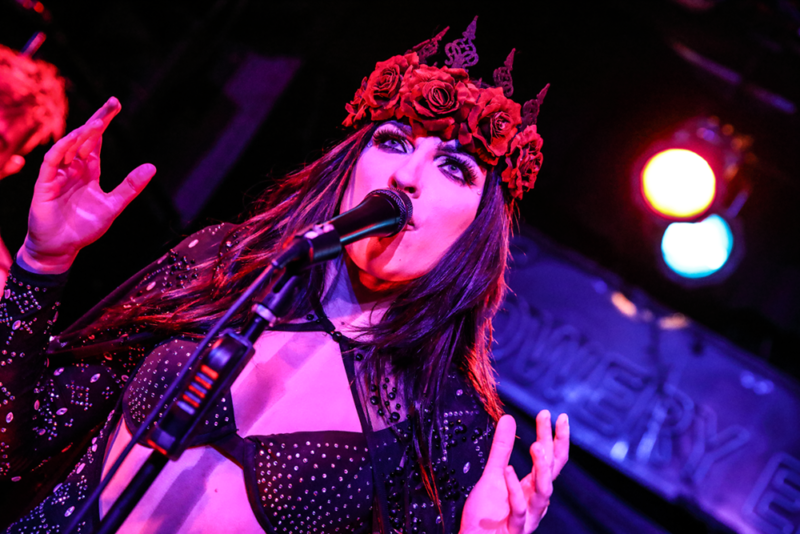 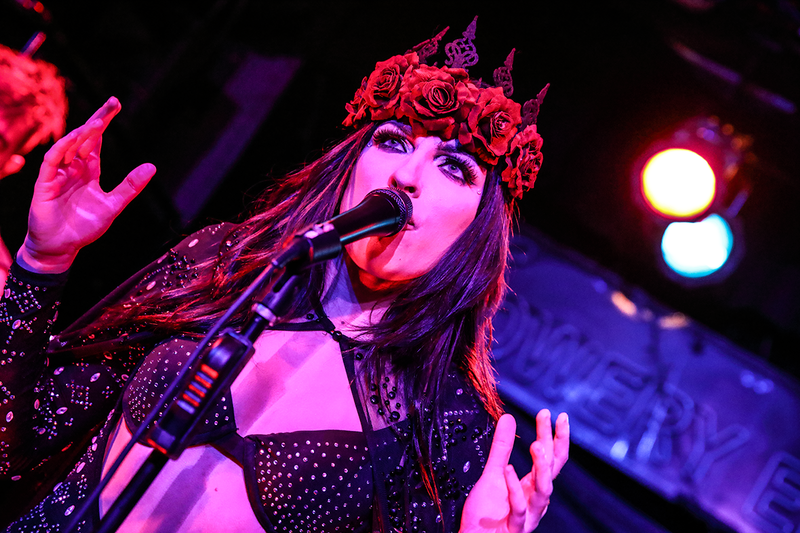 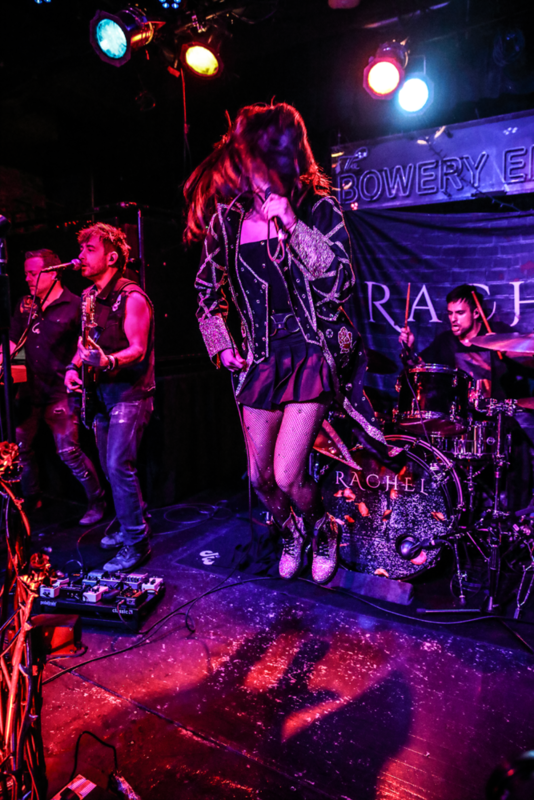 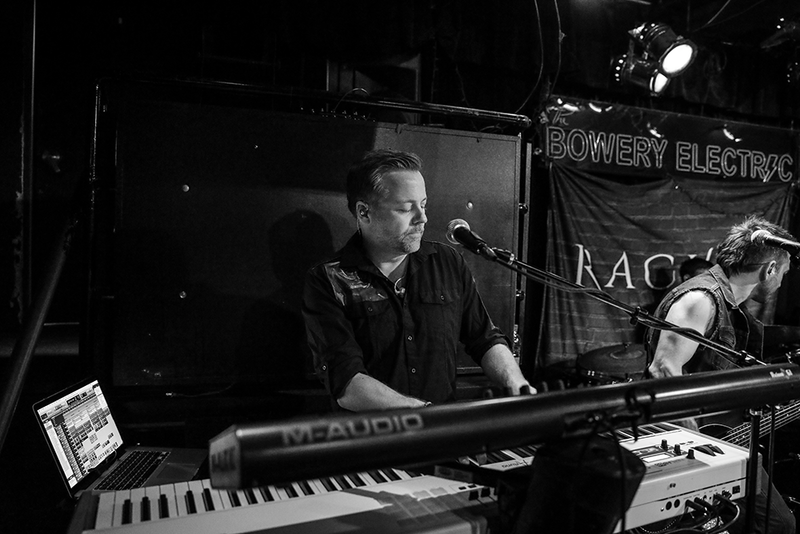 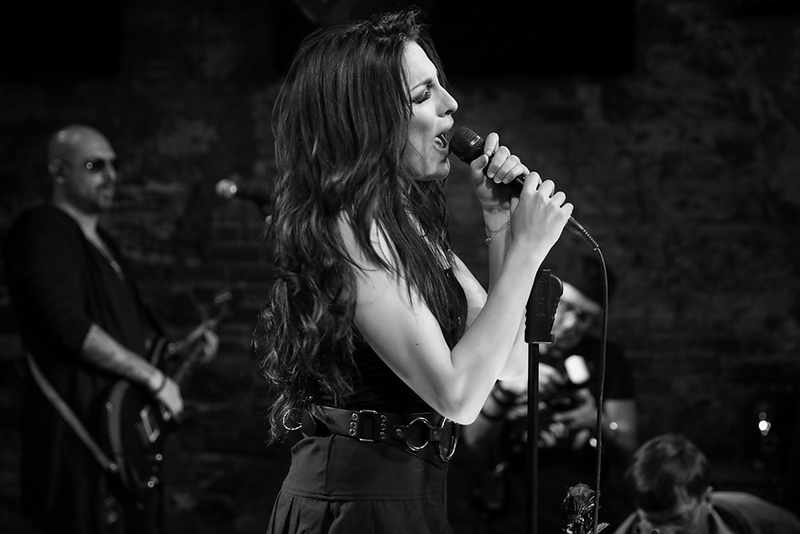 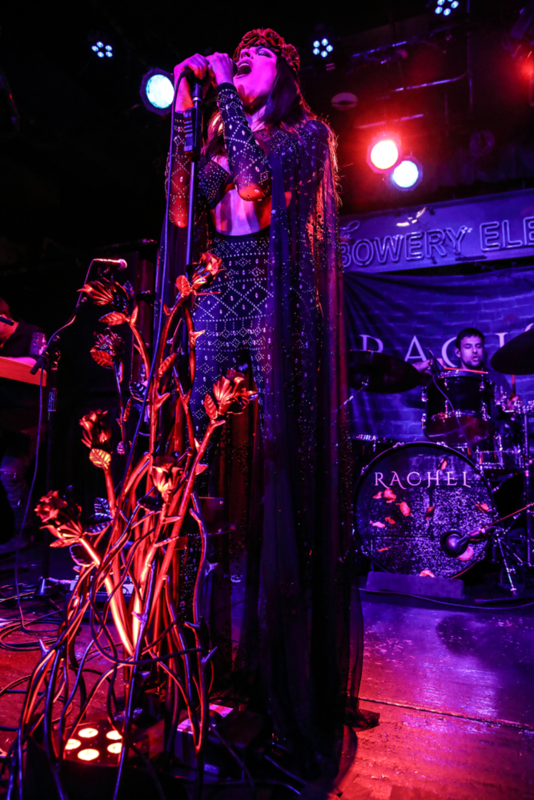 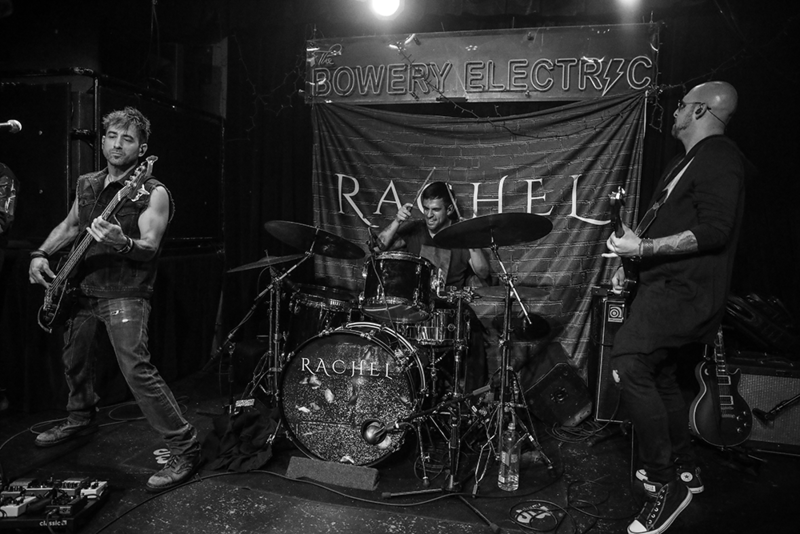 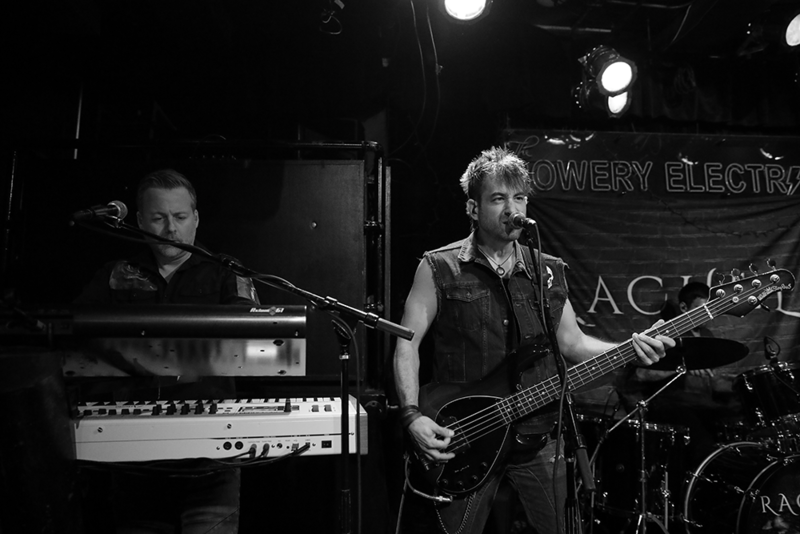 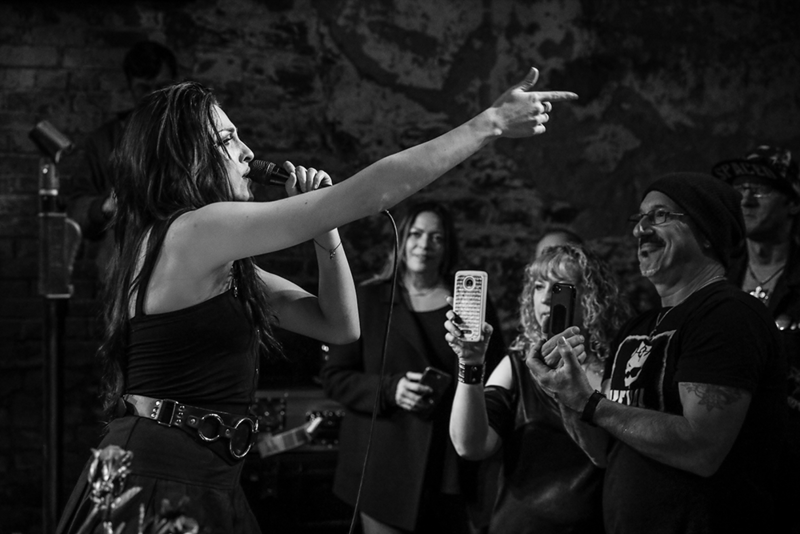 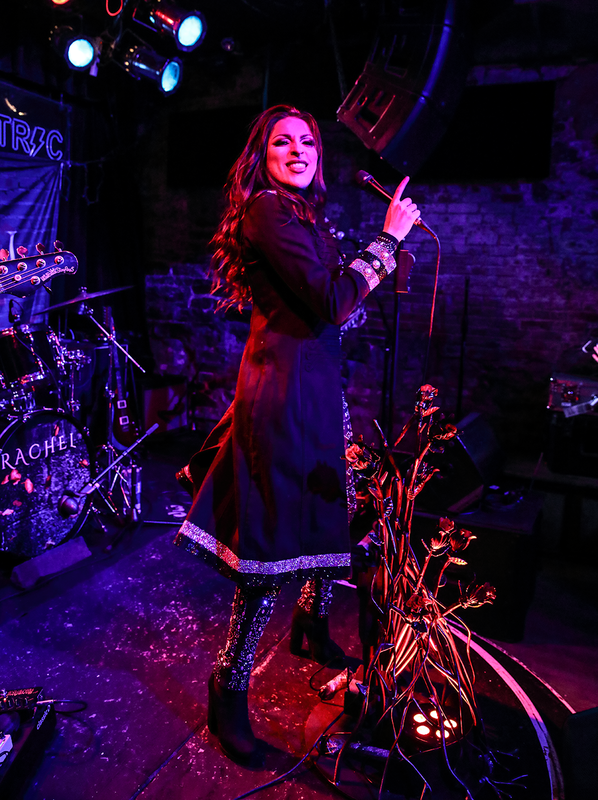 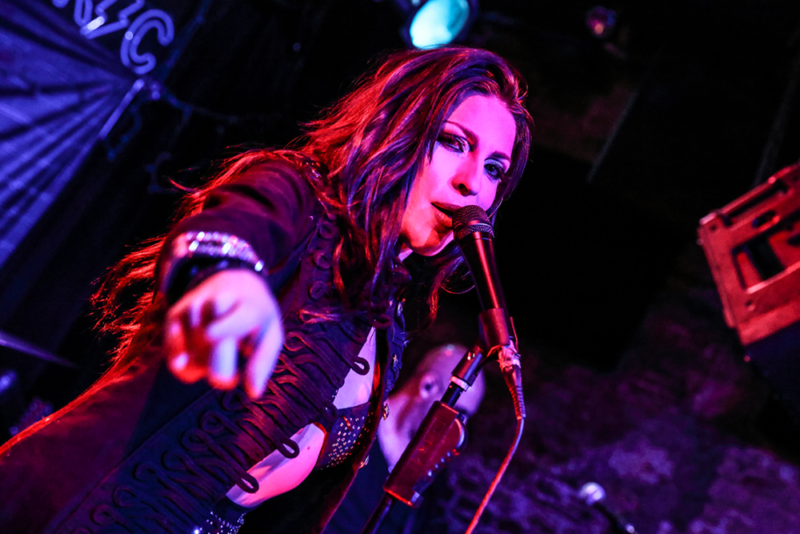 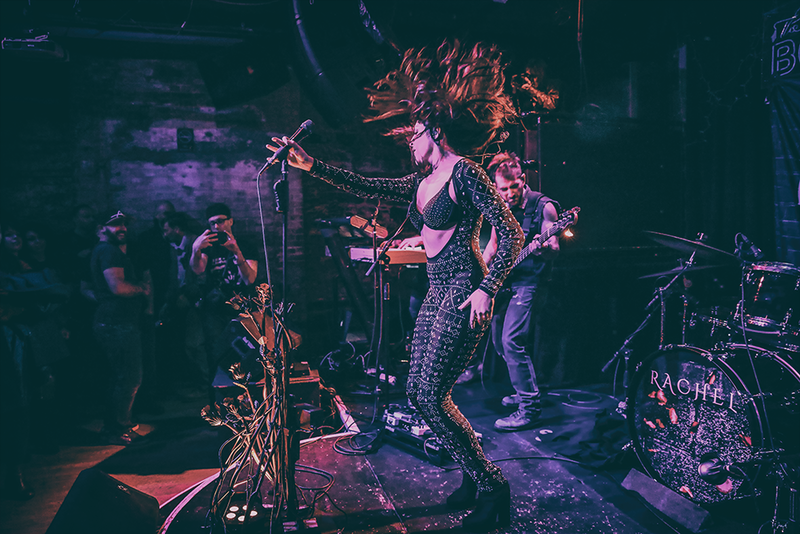 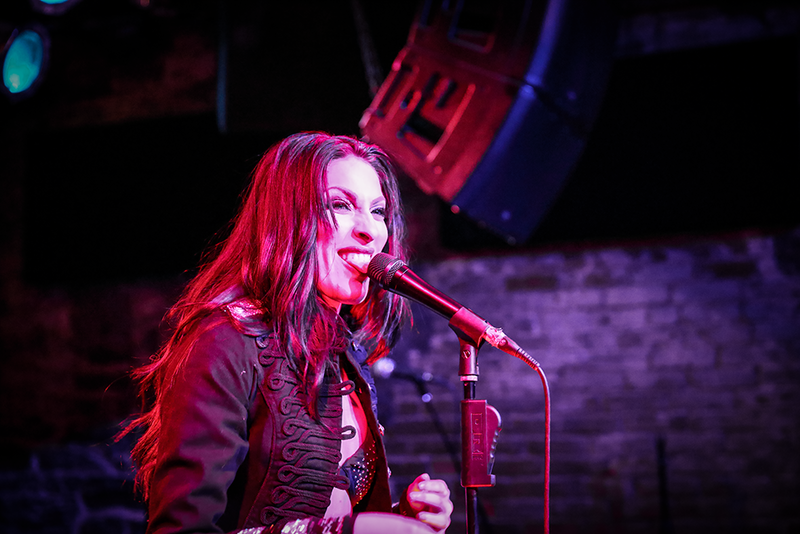 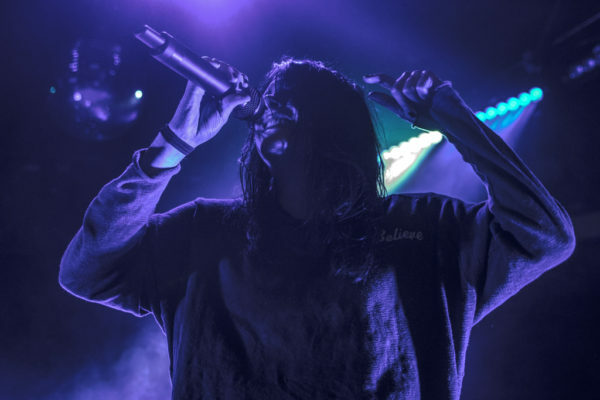 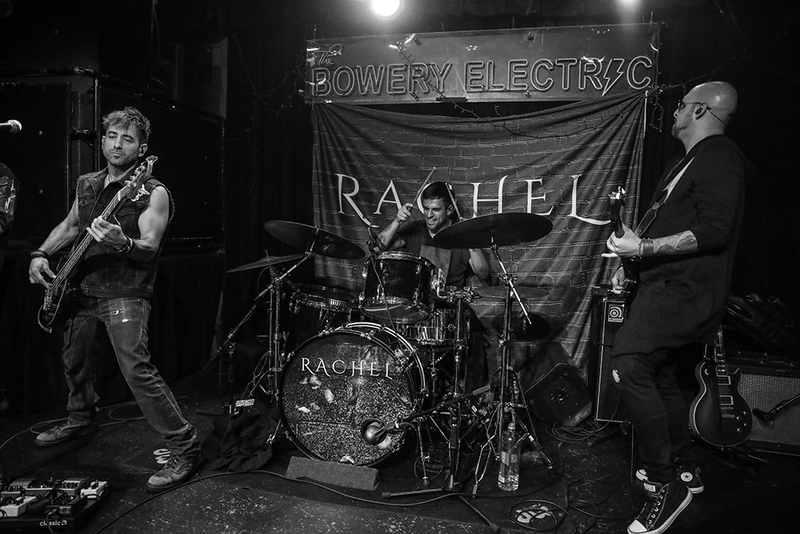 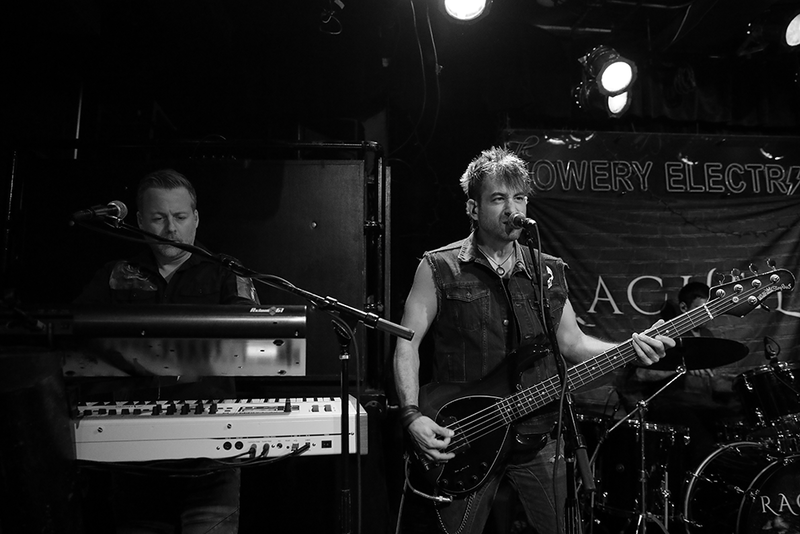 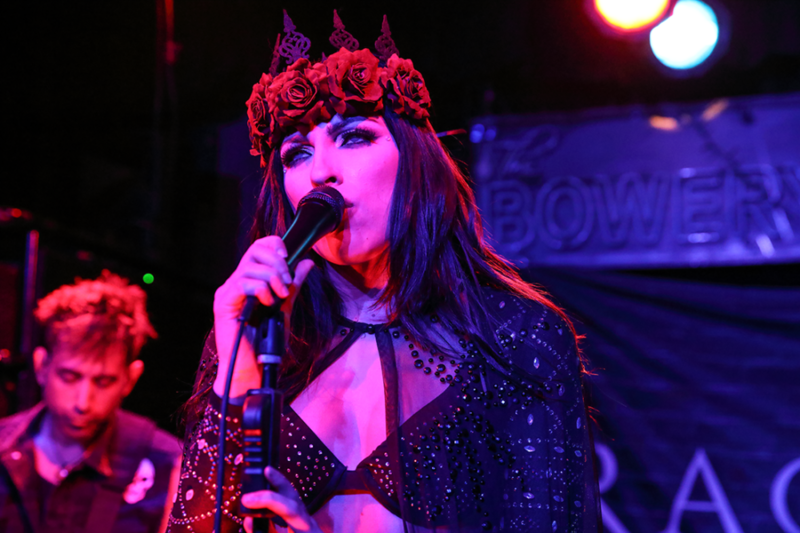 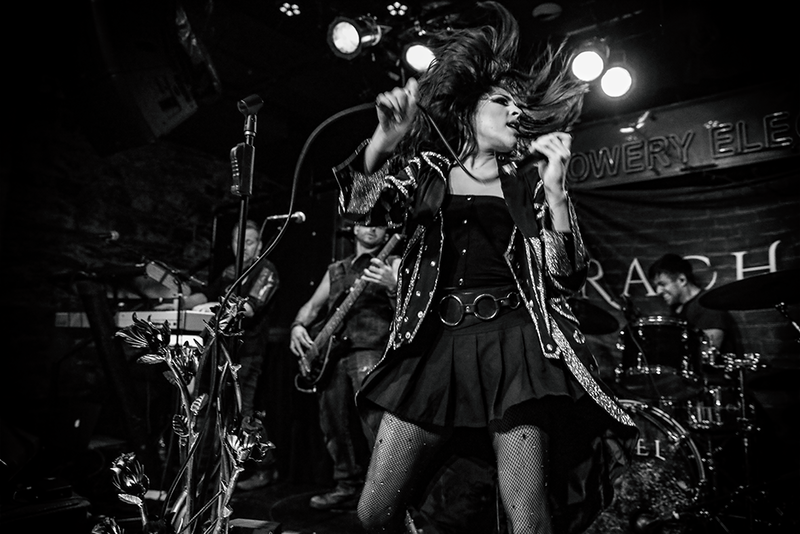 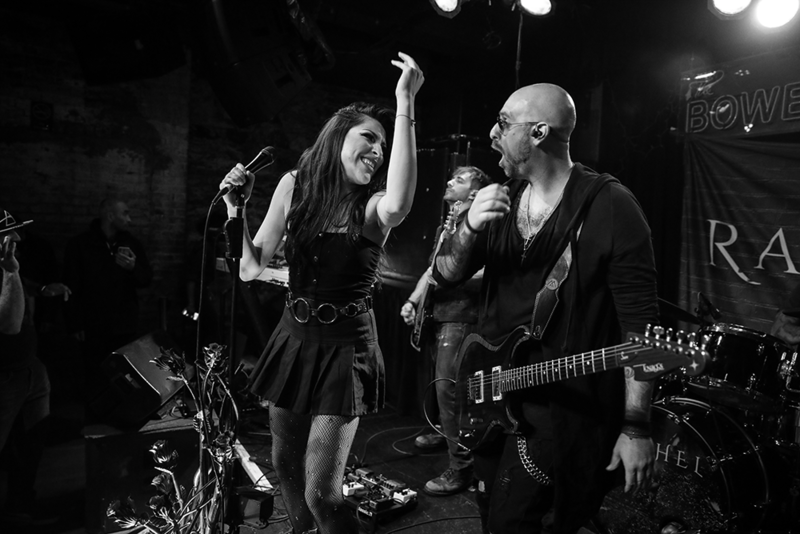 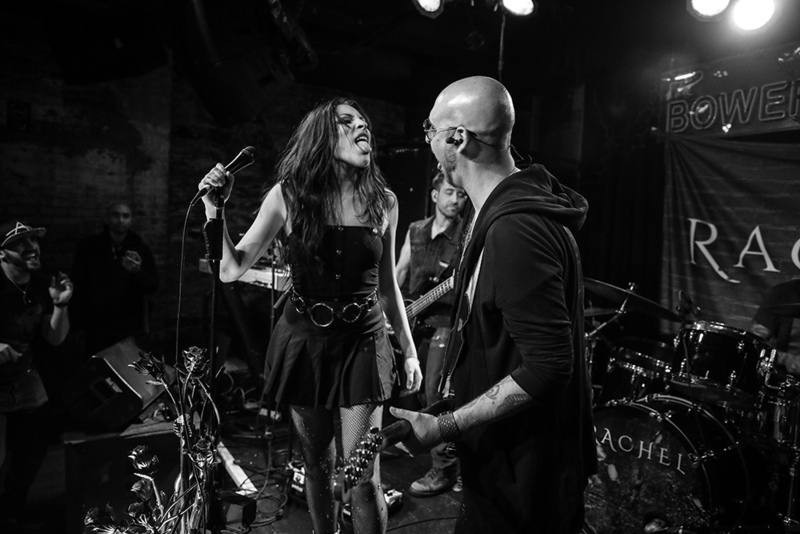 By the time 7pm rolled around the Lower East Side venue was packed for the live NYC debut of Worship The Unbroken, Rachel’s first LP that is due out later this year. 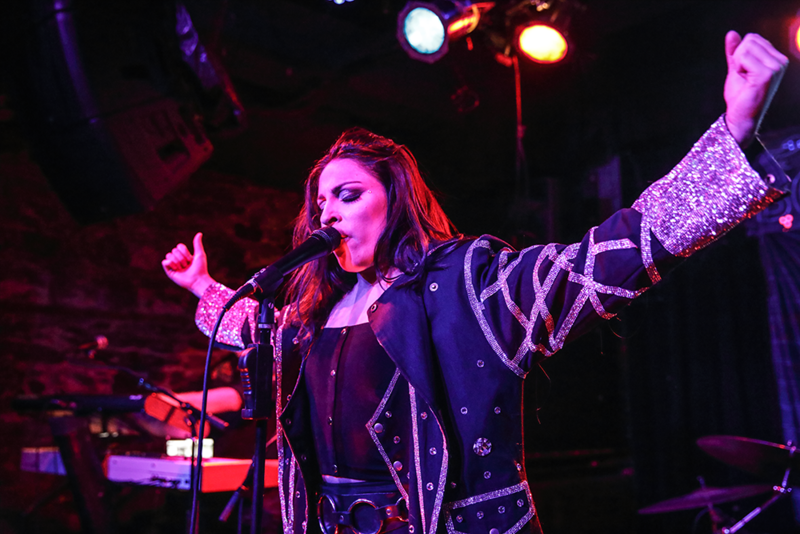 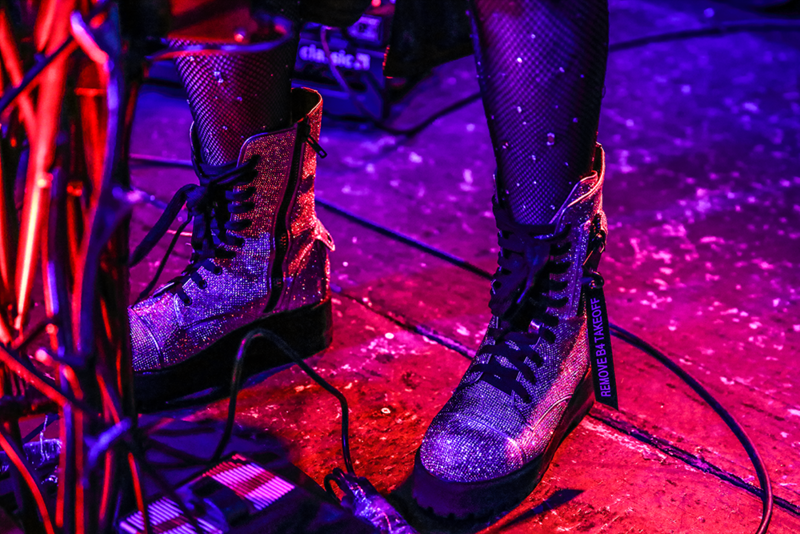 When the music started and Rachel sauntered onstage wearing a long trench coat adorned with shiny studs and a black glittery catsuit, jaws dropped and stayed that way until the last silky note echoed in our ears. 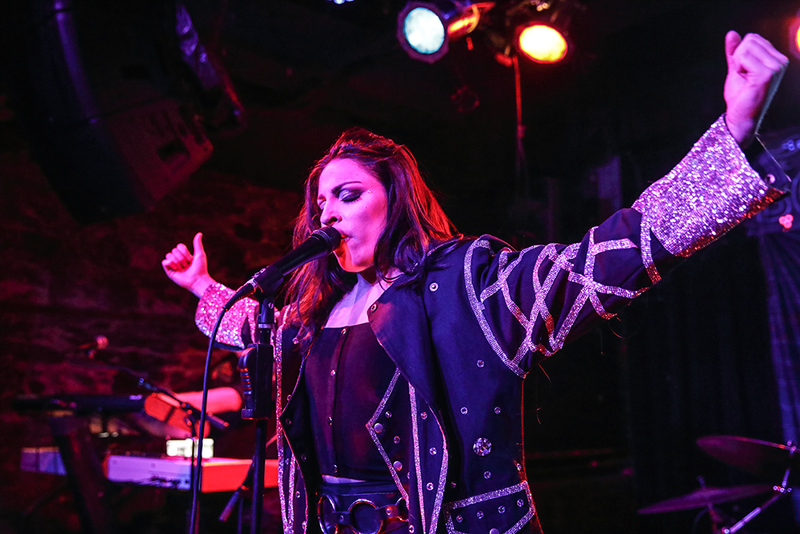 Early on we were treated to a highly contagious tune called “Hallelujah” and then first single released off the album entitled “Under My Skin,” which really highlights her lyrical intelligence and flow. 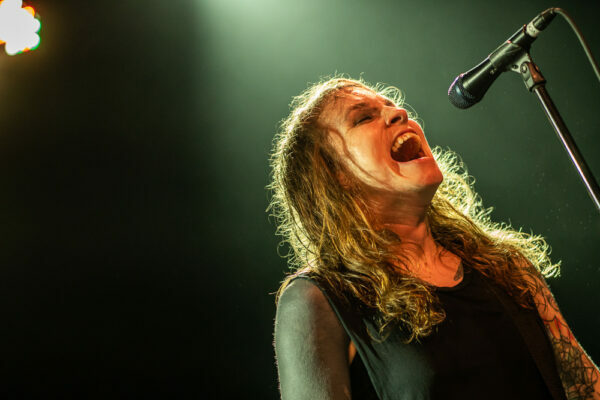 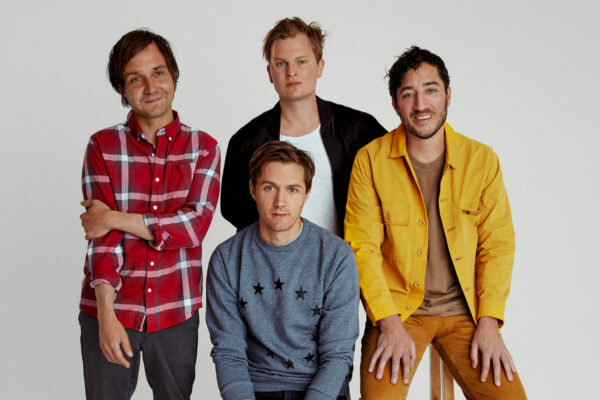 The most memorable part of the night came a little over halfway when she disappeared for a few moments while the band laid down a deep, keyboard-heavy, mystical groove. 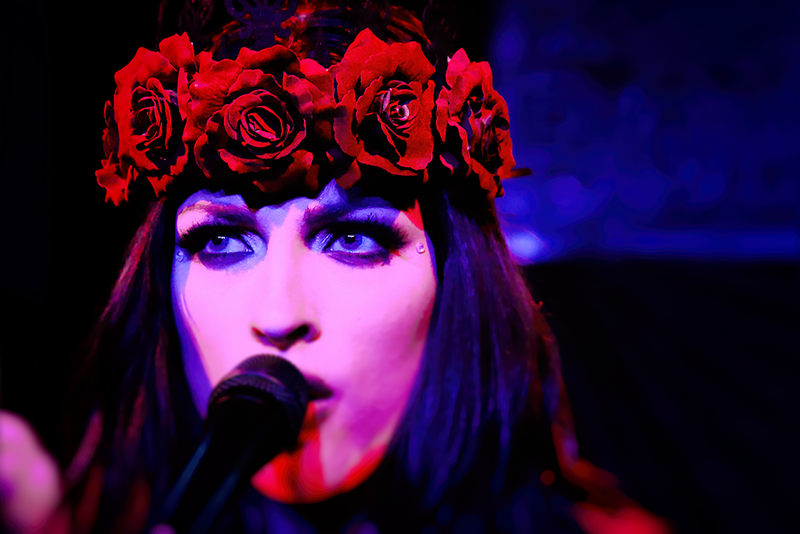 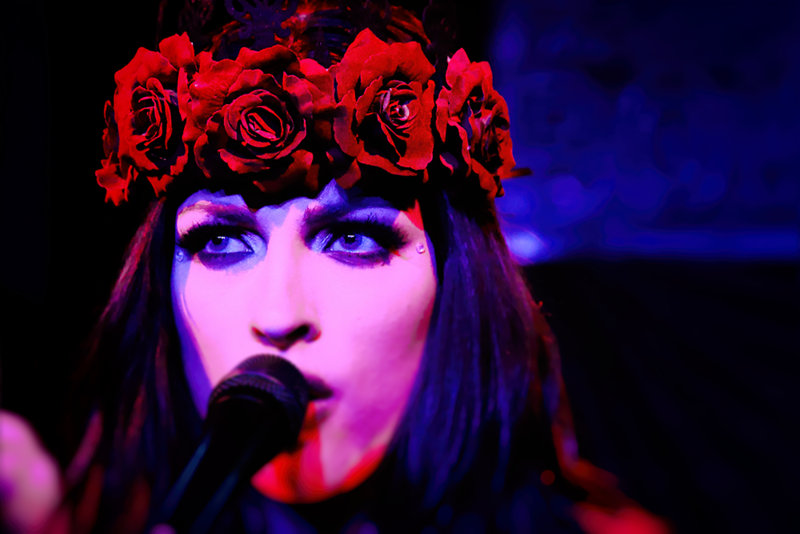 Rachel returned wearing a crown of roses, a dark shawl and then began to sing in a breathy and emotional way and just like a pied-piper, everybody leaned in and listened closer. The next four minutes were sublime with Rachel reaching almost impossible octaves and ended with a pristine guitar-solo. 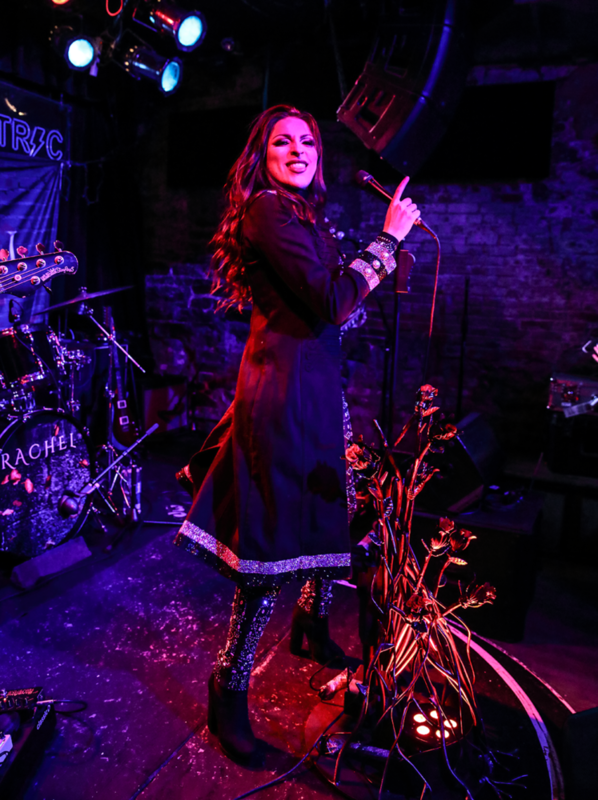 She would exit the stage and a killer drum solo-and jam ensued. 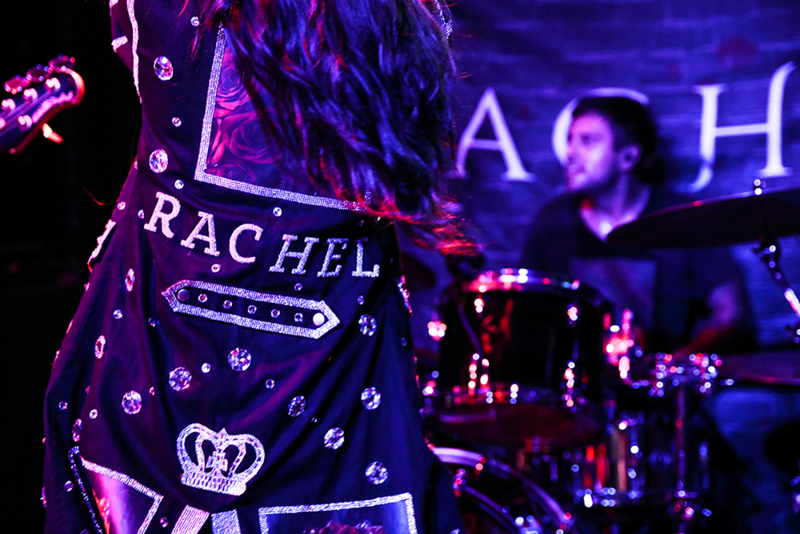 The impressive set continued with Rachel returning, this time dressed in a black babydoll dress and sassy overcoat with her name on the back with a super-spirited cover of the Muse classic “Uprising.” The evening would end with the songs “Problem” and the highly danceable “Worship,” and not moments after numerous calls for an encore the band did a curtain-call as the lights came up. 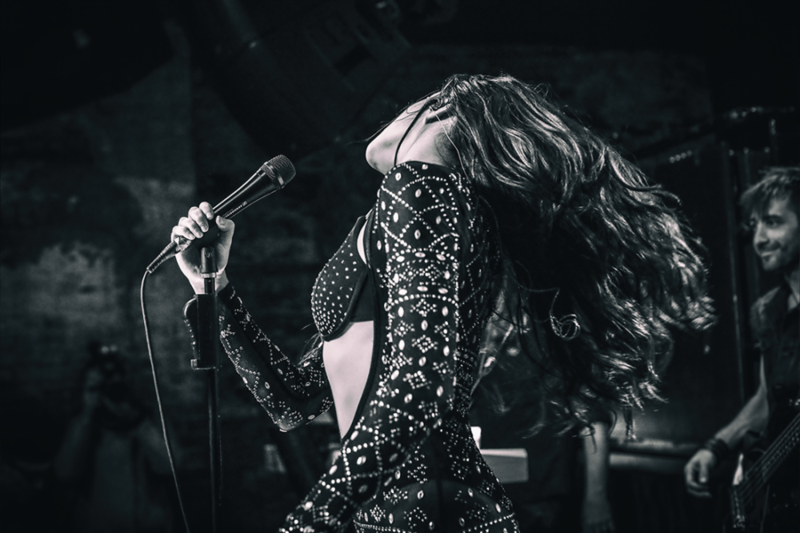 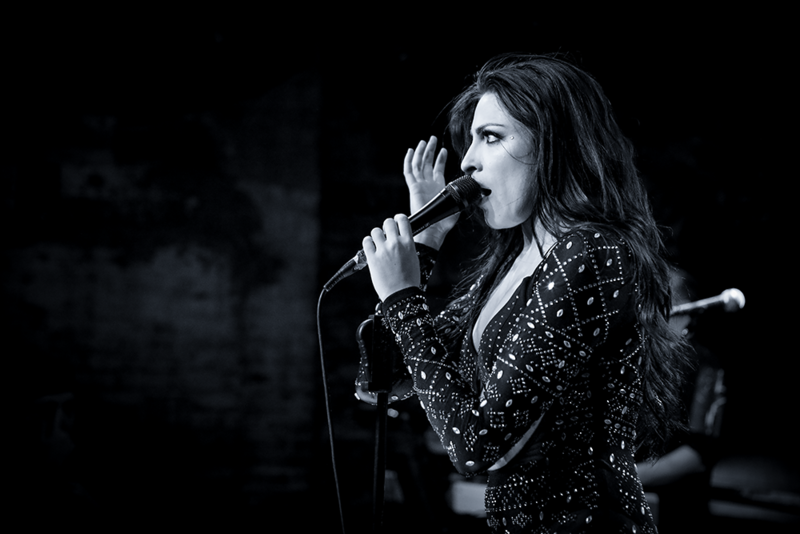 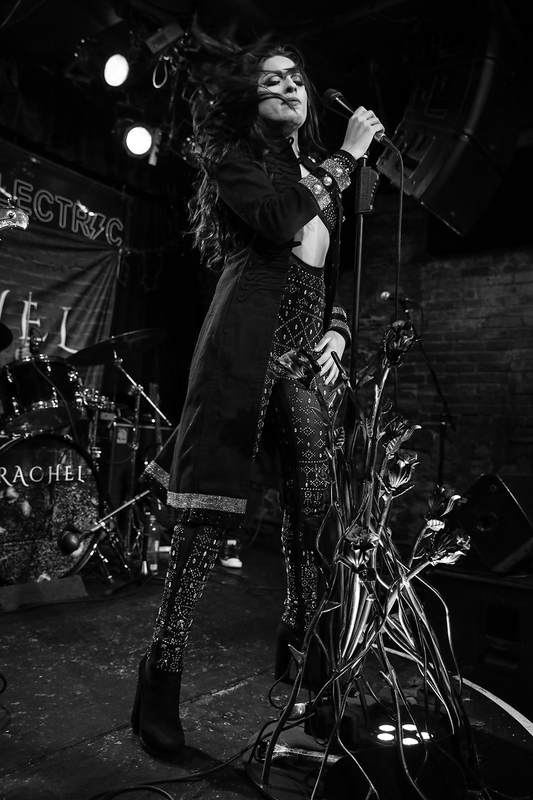 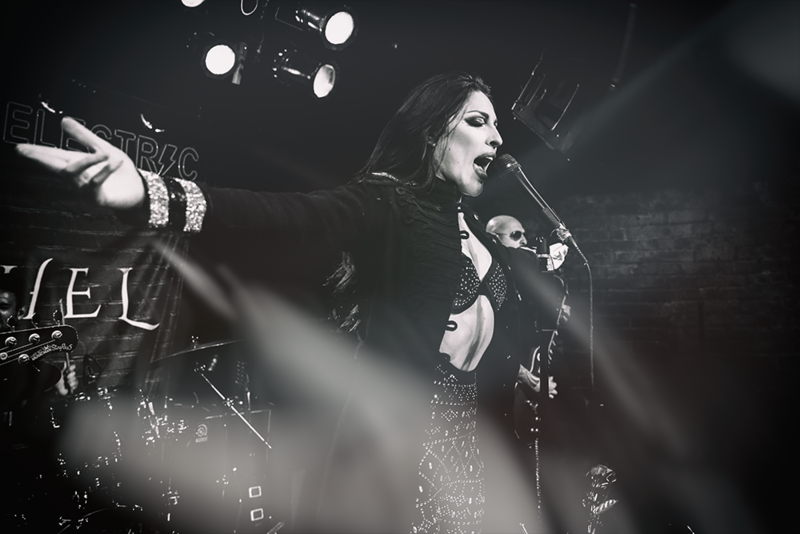 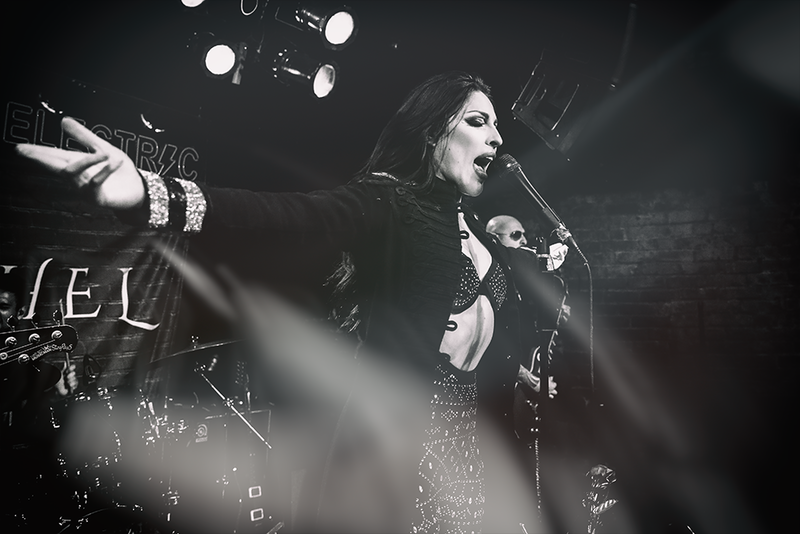 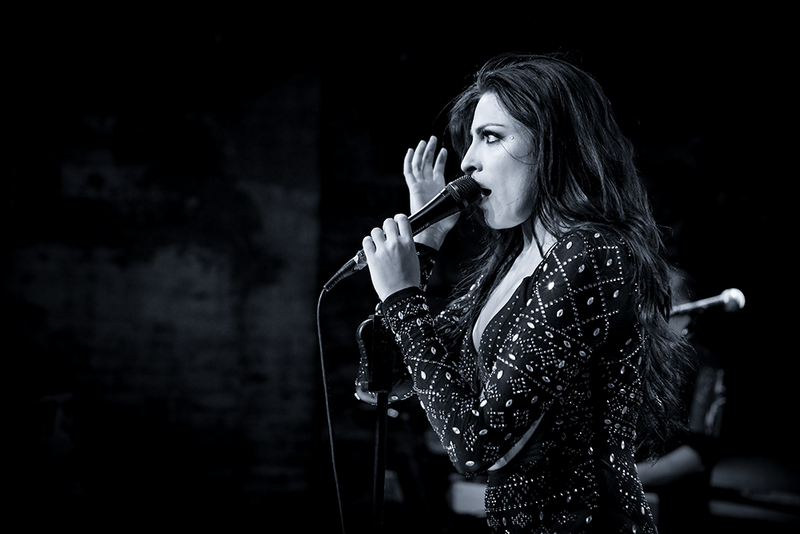 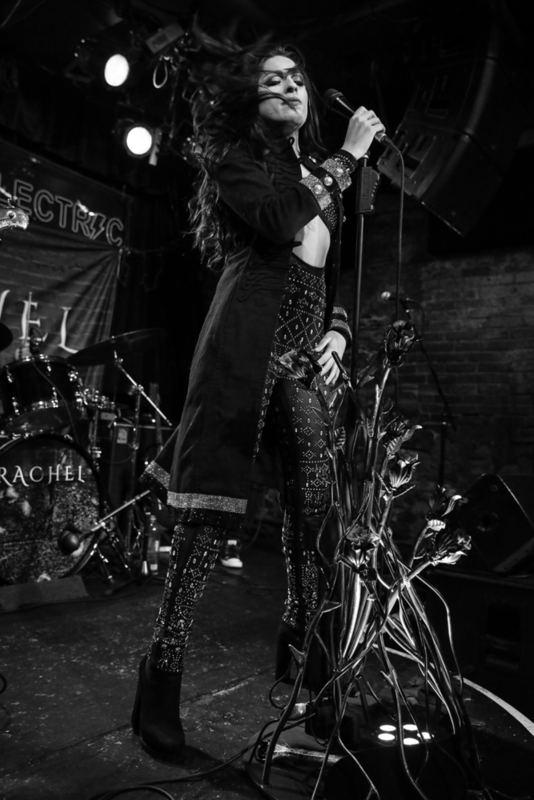 I may of not heard of Rachel Lorin before, but am now a fan and foresee anyone that witnesses their live gig to be one as well.